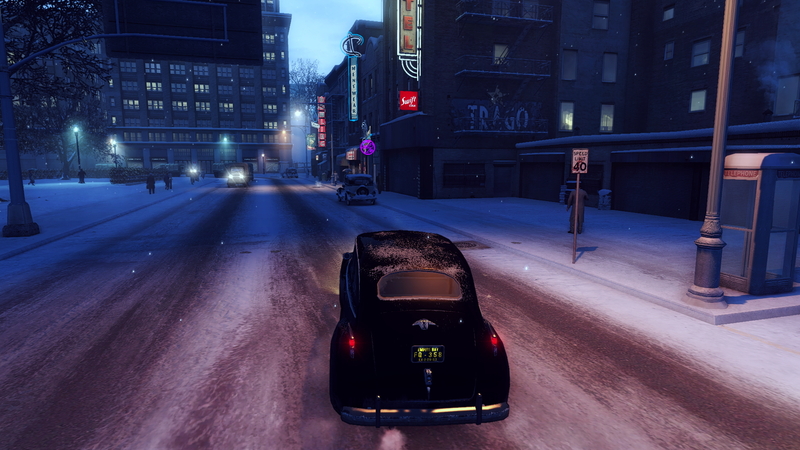 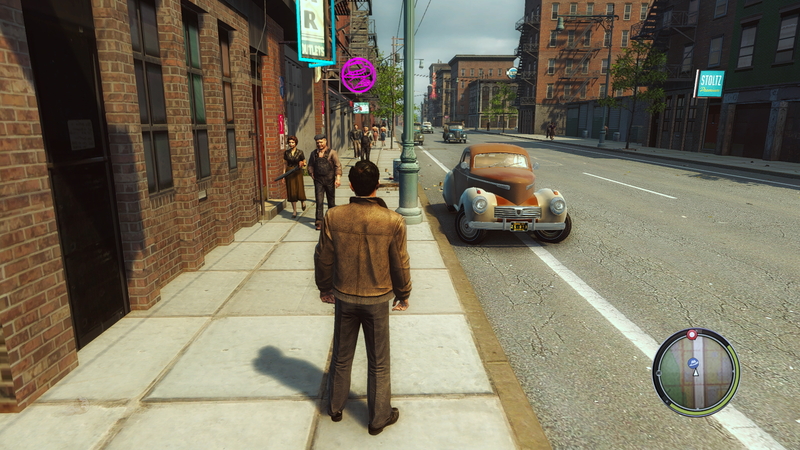 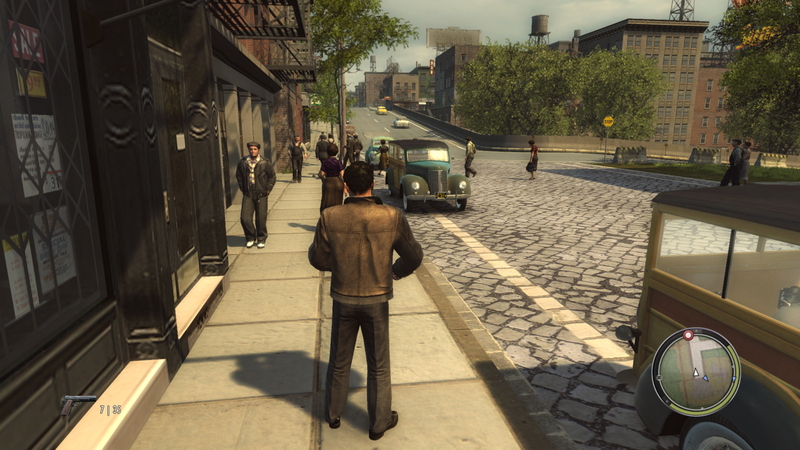 Mafia II, the second game in the epic 3rd-person semi-open-world gangster action/adventure game series. 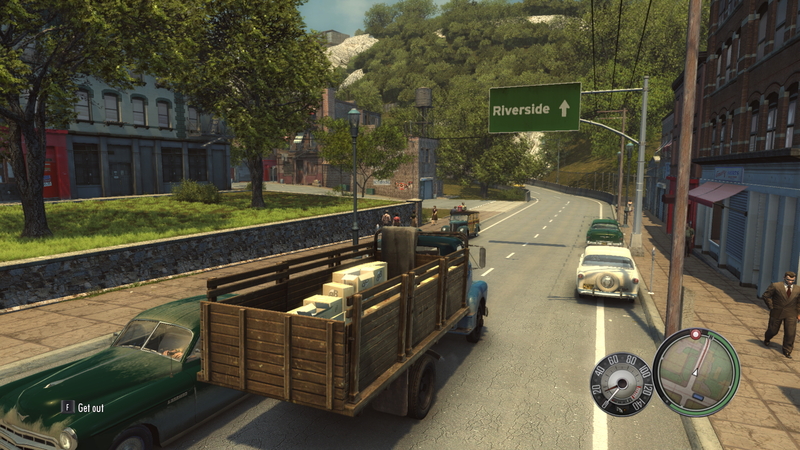 Developed by 2K Czech and published by 2K Games in 2010. 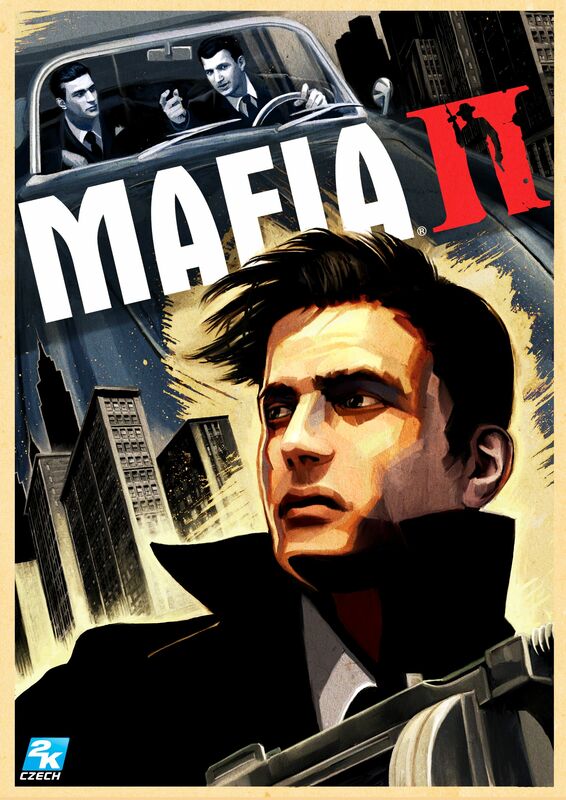 Considered the best game of the series so far, and technically still great by today's standards. The only area where Mafia II falls behind, is the render. 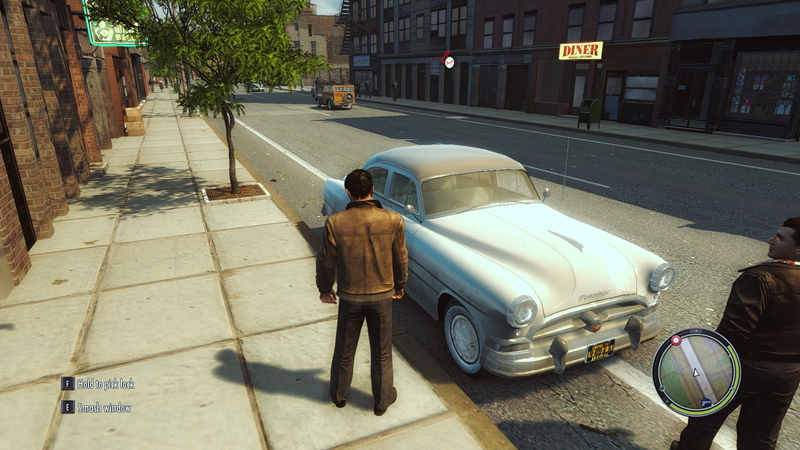 It has a red/brown-ish tone, that fit some parts of the game, but certainly not all. 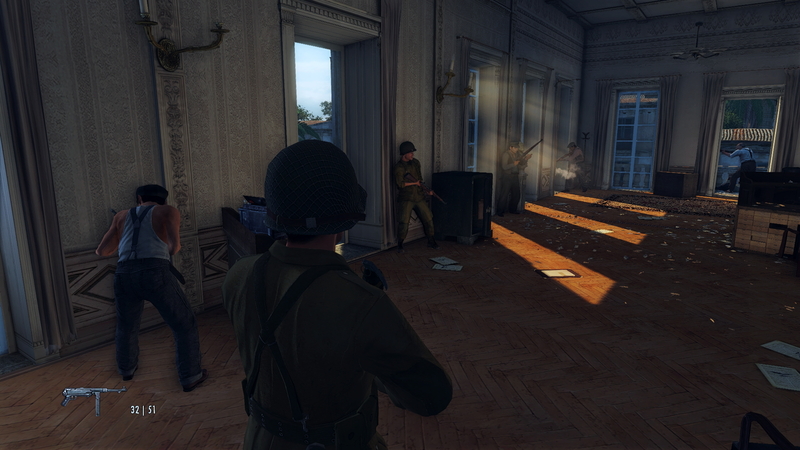 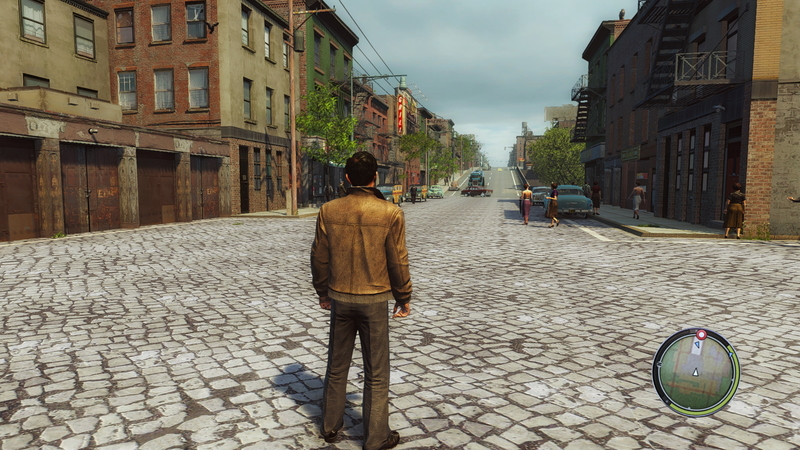 This ReShade will give the game a more natural look instead, and improve image clarity and AA at the same time. 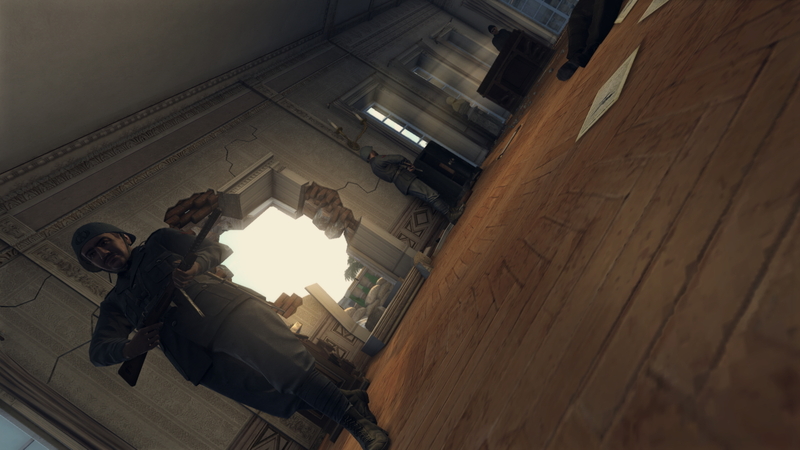 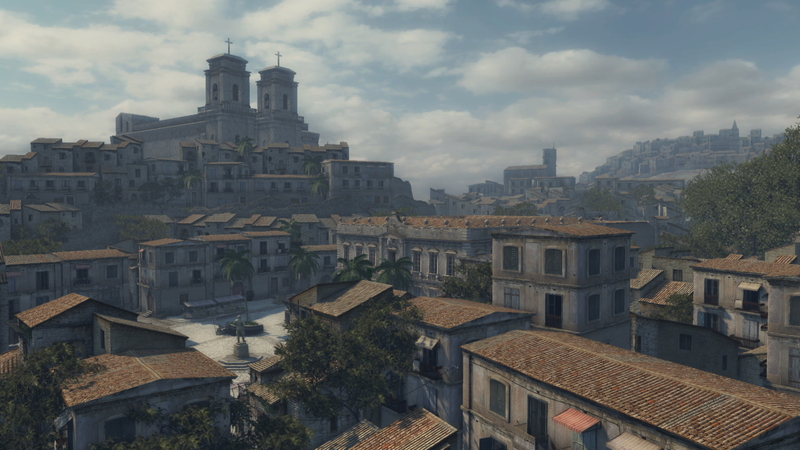 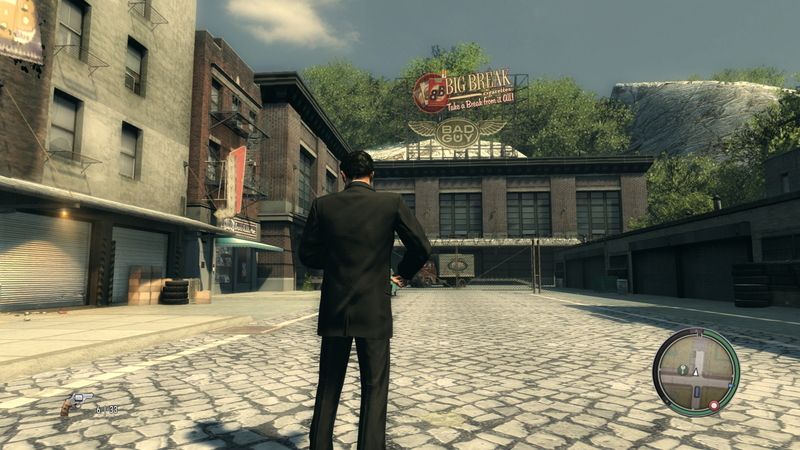 Download and unpack to a temporary folder, then move the content of "cnt_empire_bay_hq_textures_by_bear_grylls" into the "pc" folder inside the Mafia 2 game-folder. 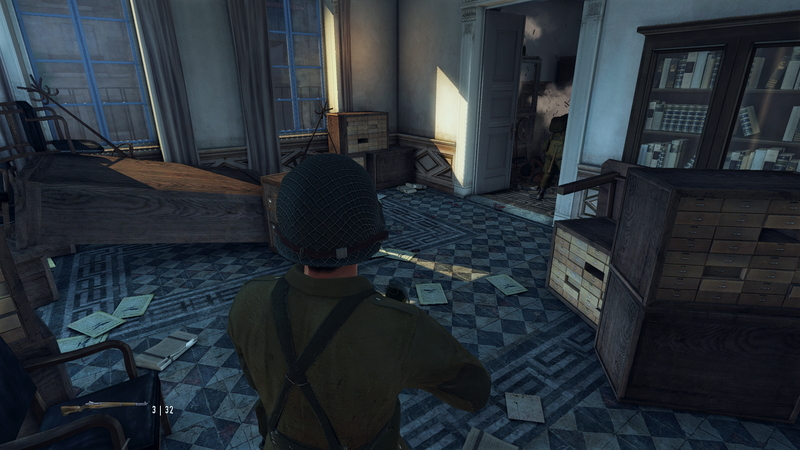 Overwrite. 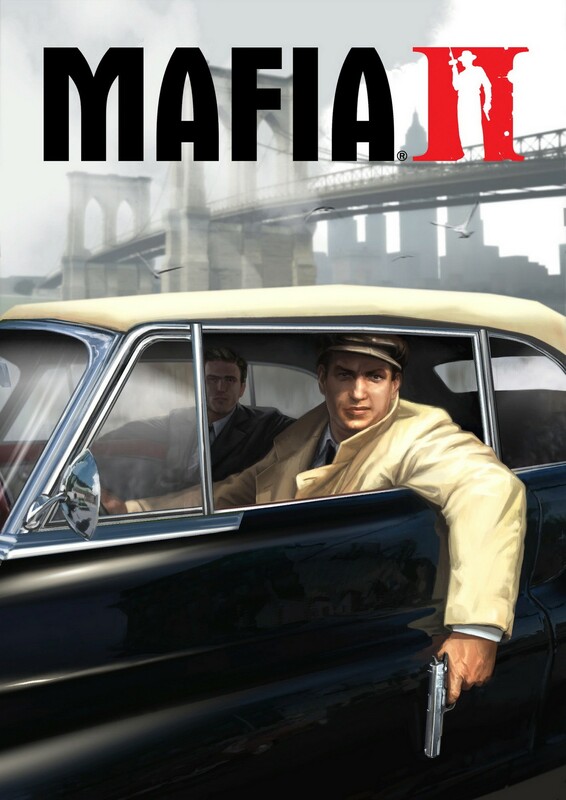 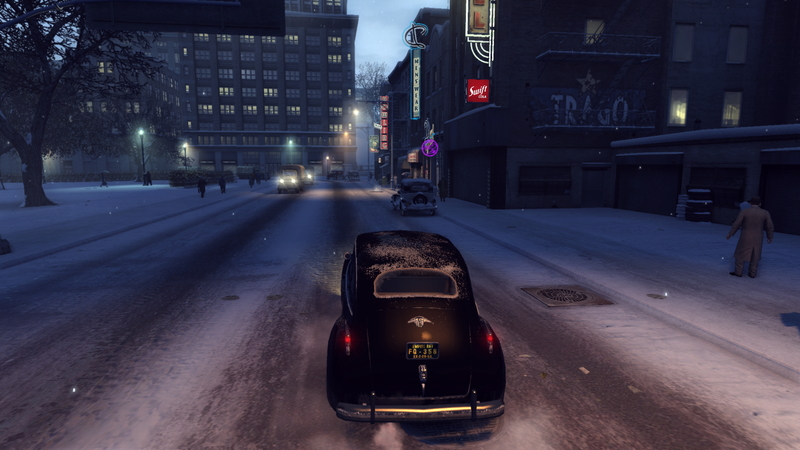 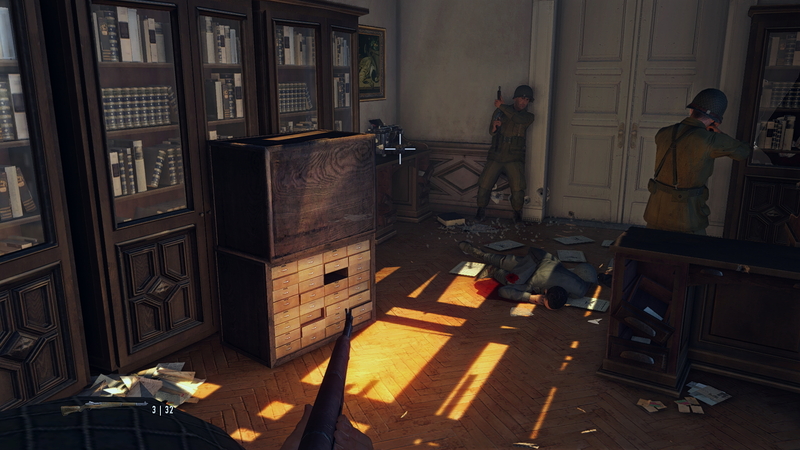 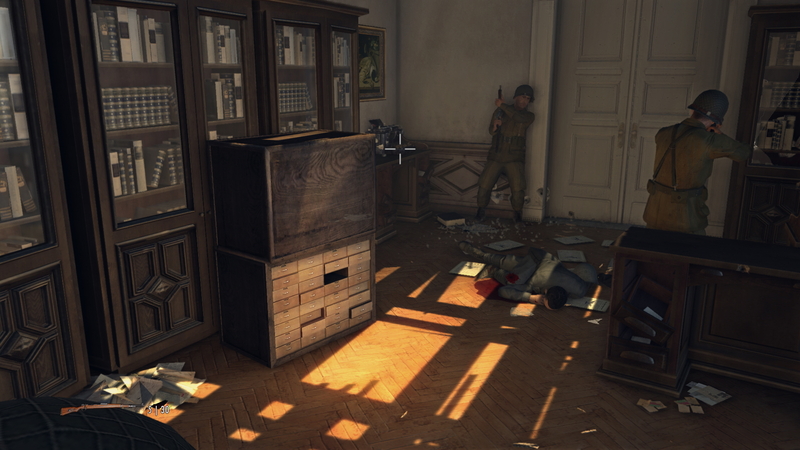 Mafia II is a semi-open-world action-adventure game from 2K Czech, published and released by 2K Games in 2010. 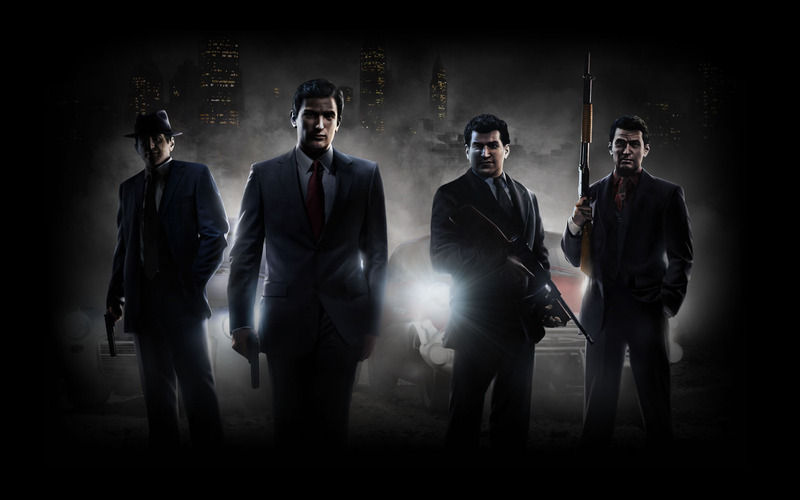 The game is a sequel to Mafia: City of Lost Heaven from 2002, and the 2nd game in the Mafia game series. 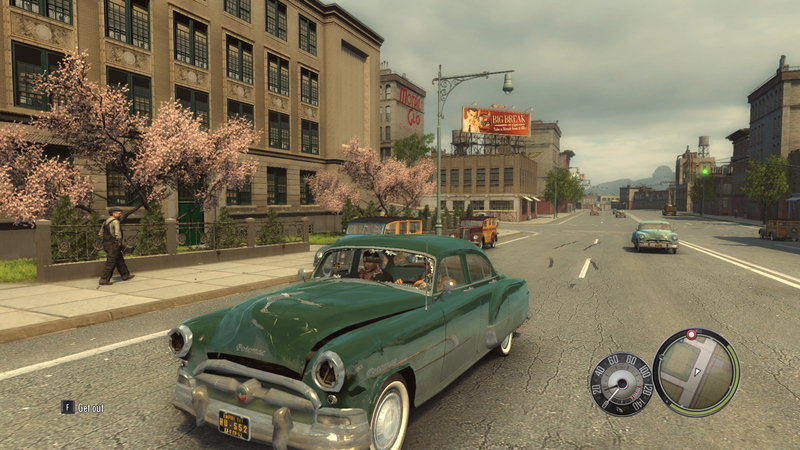 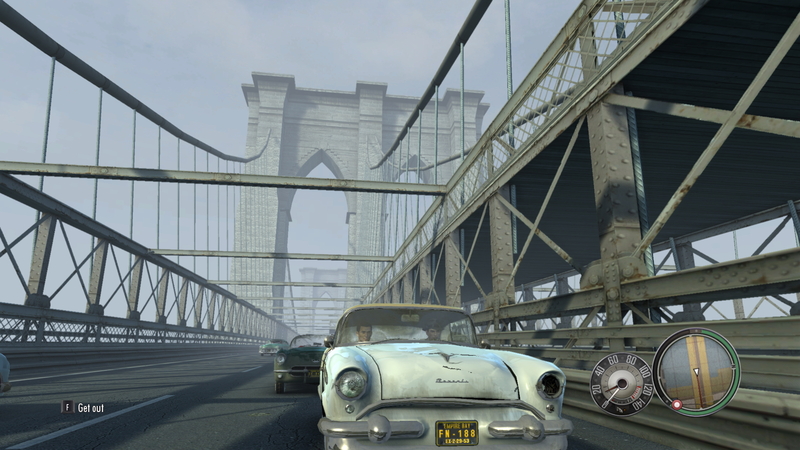 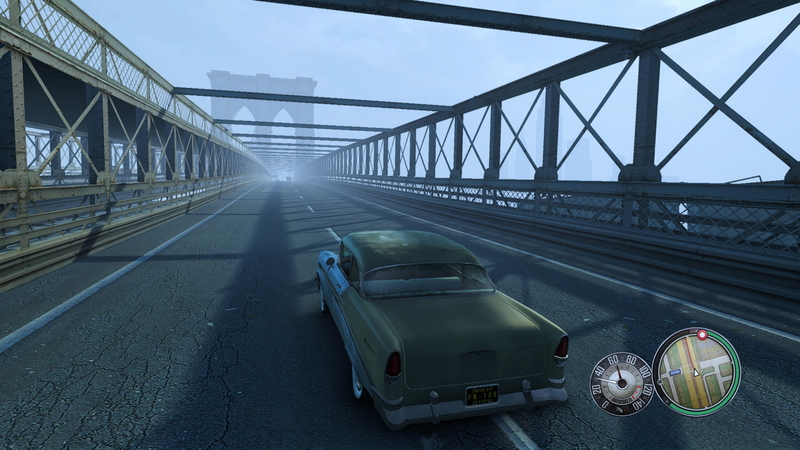 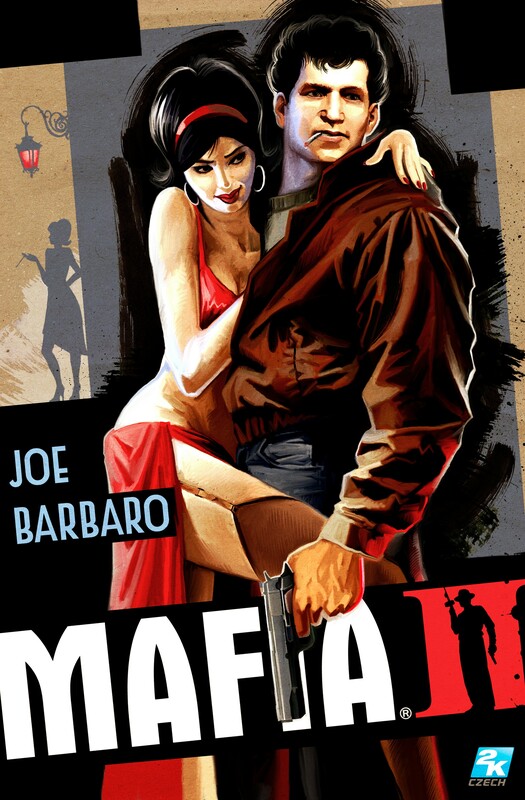 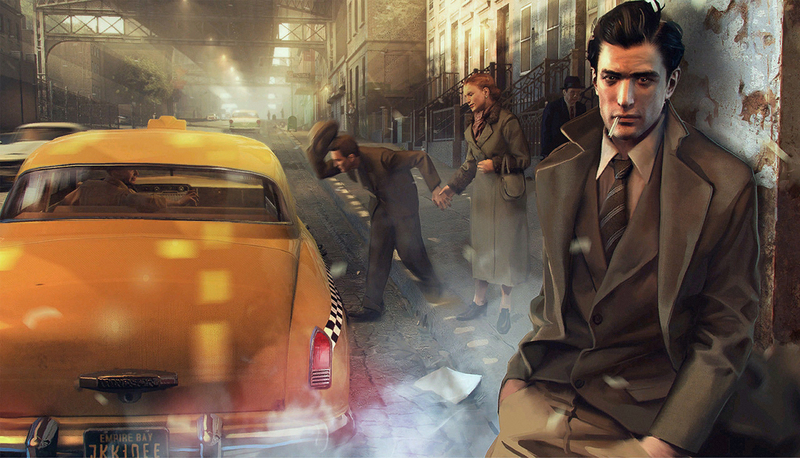 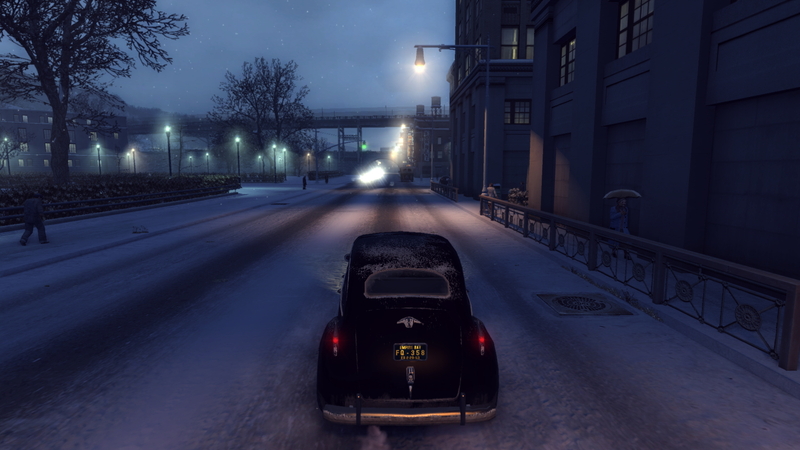 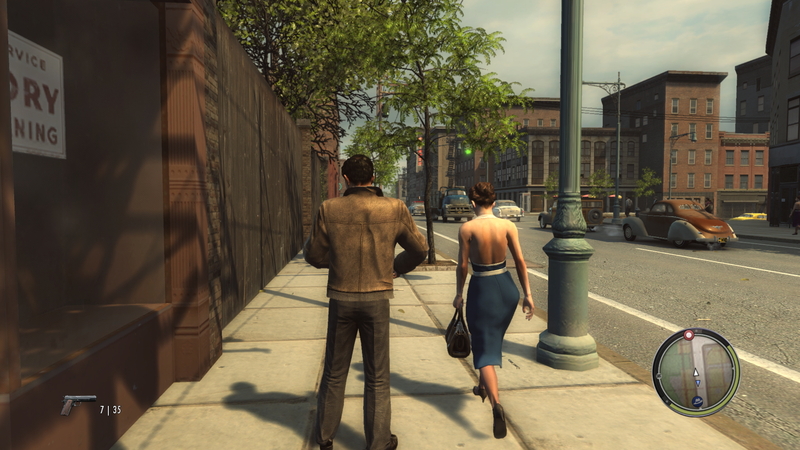 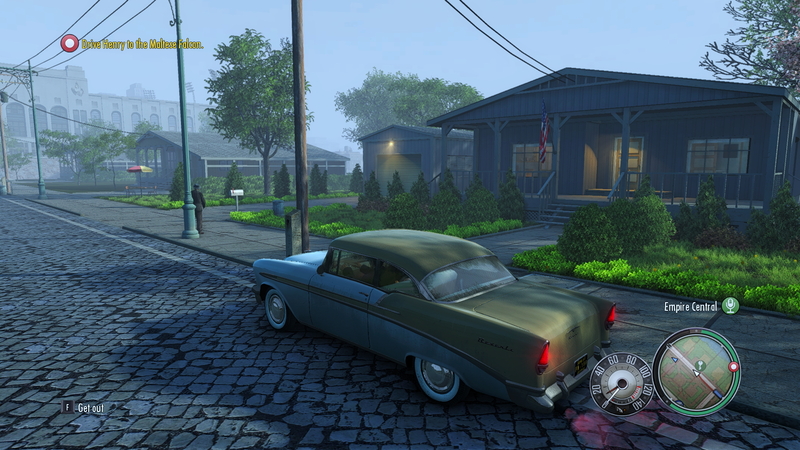 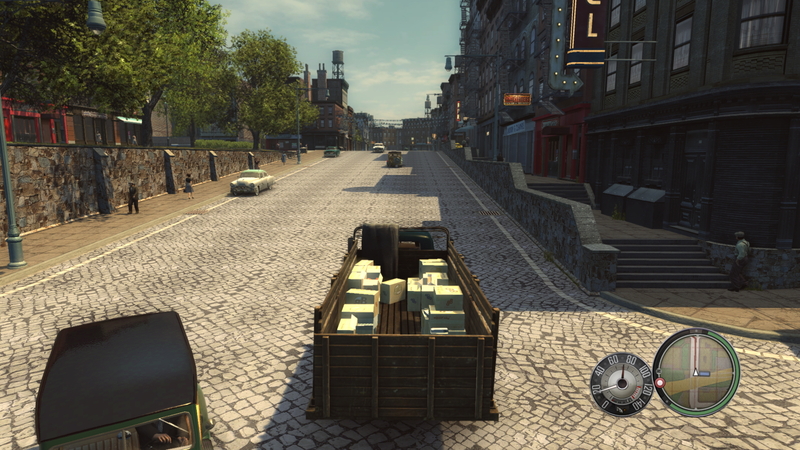 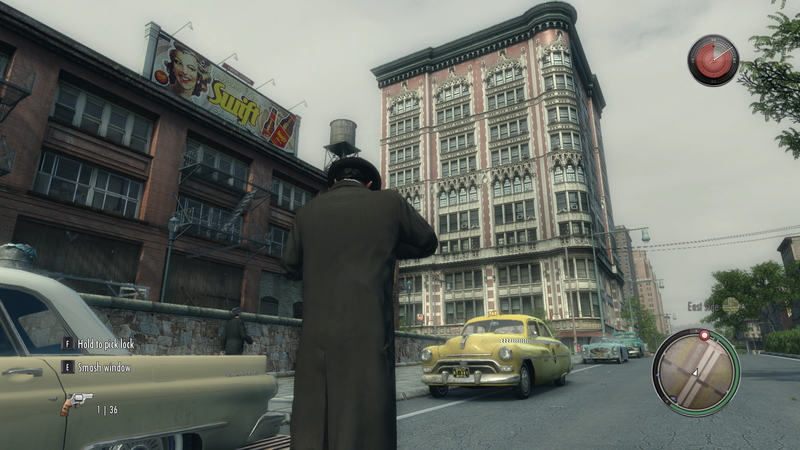 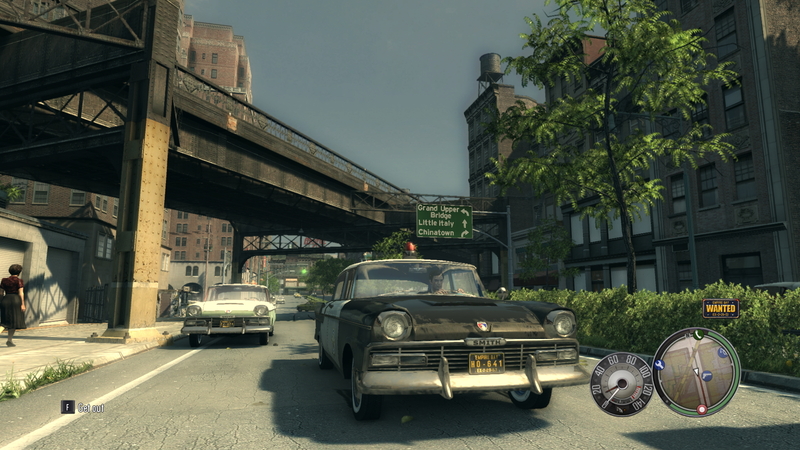 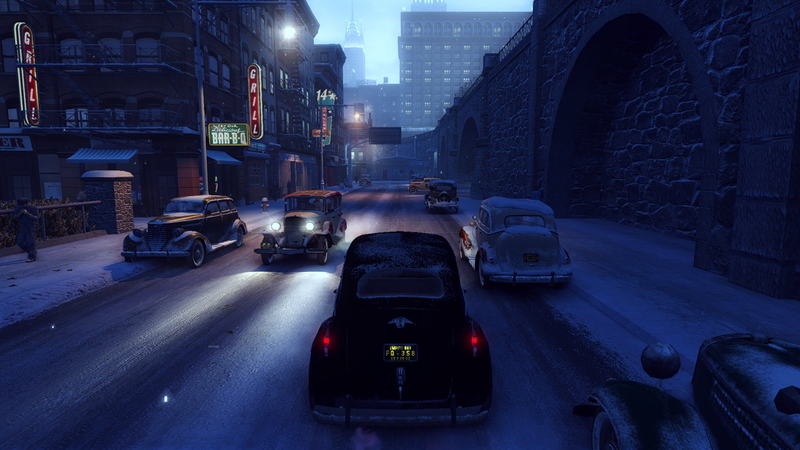 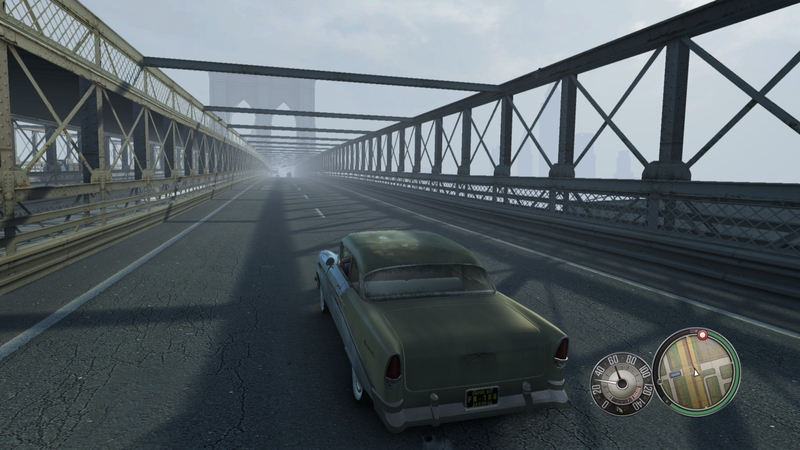 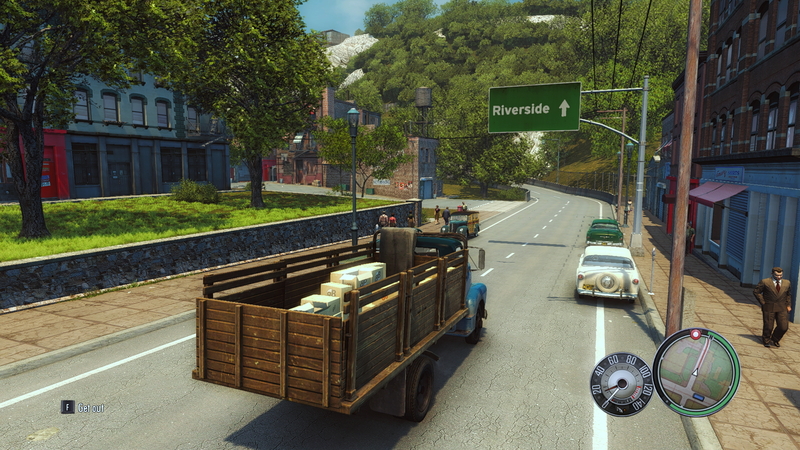 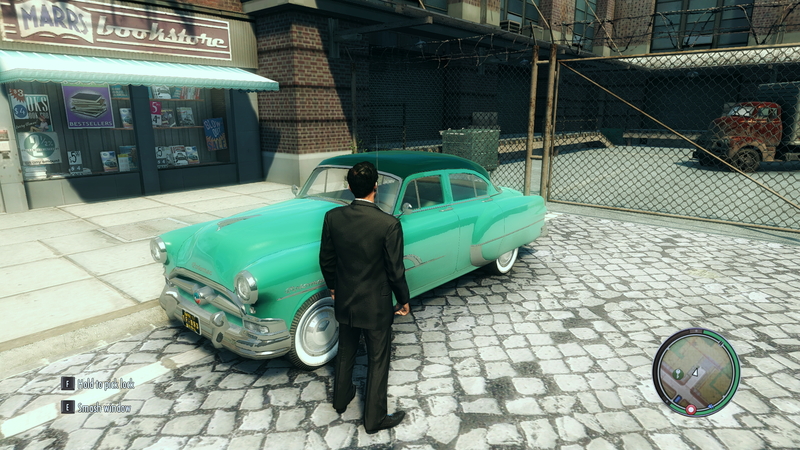 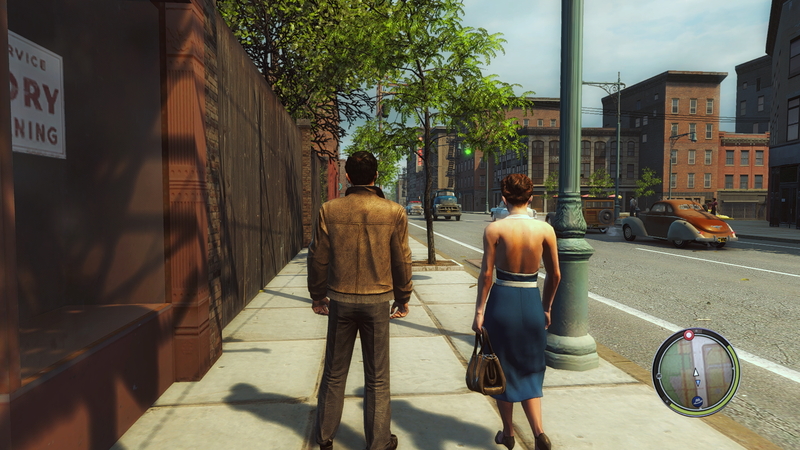 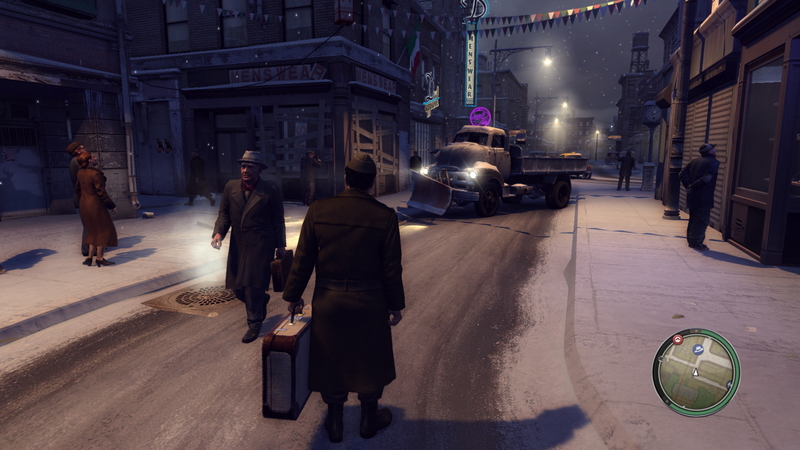 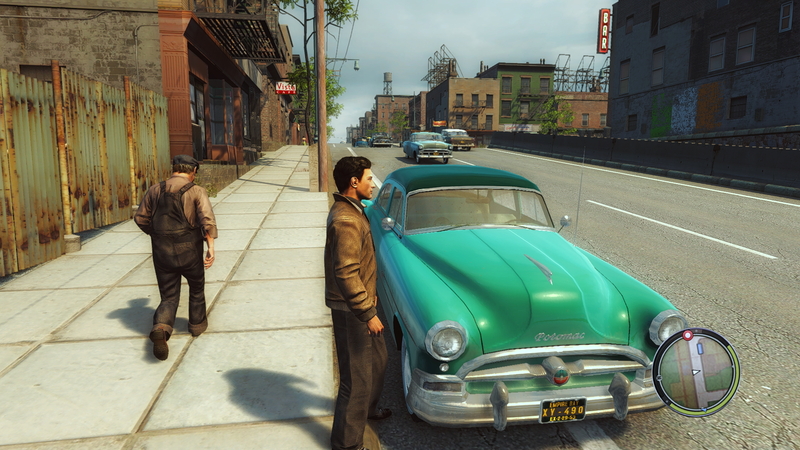 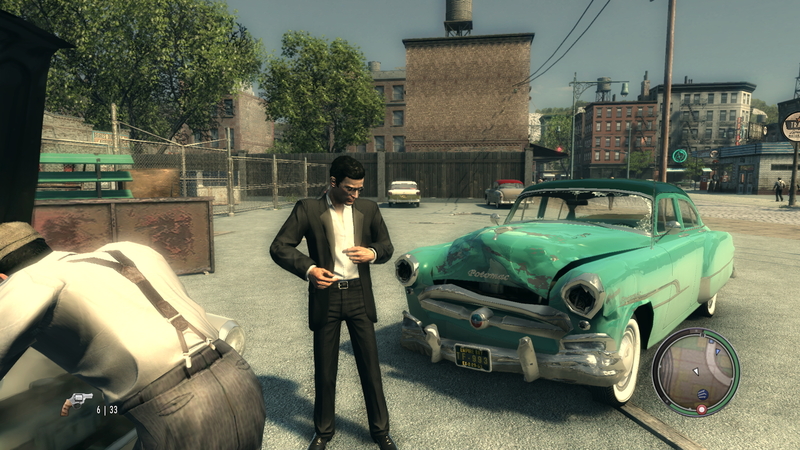 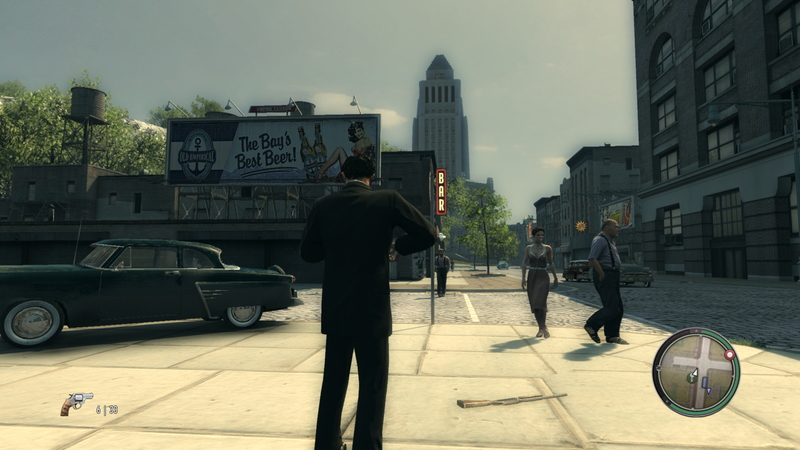 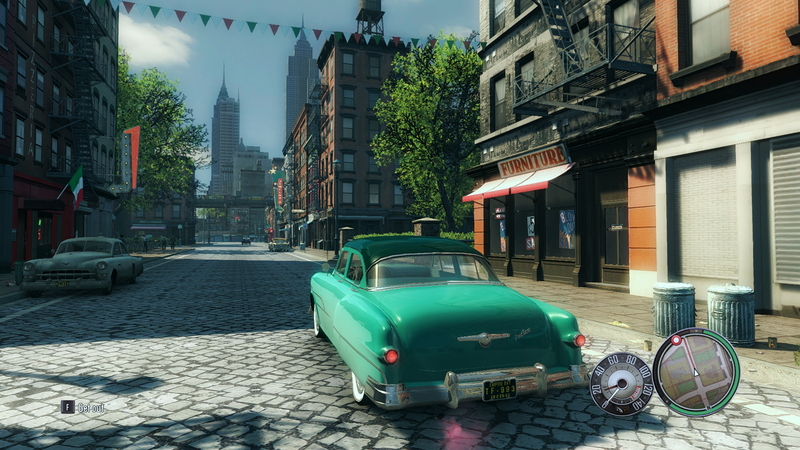 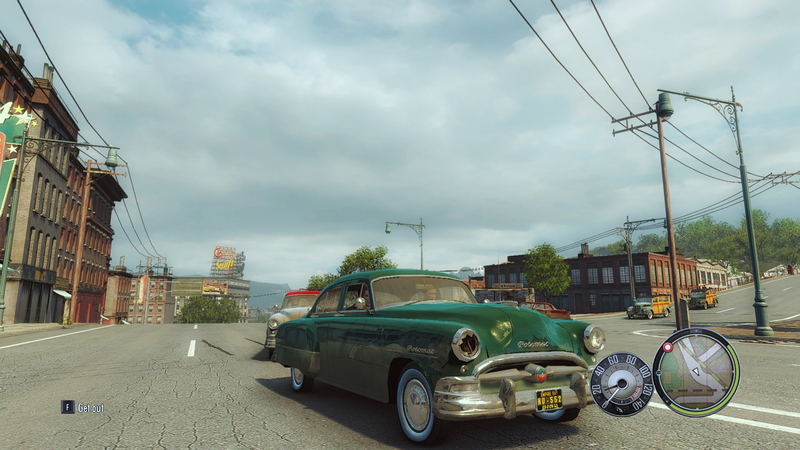 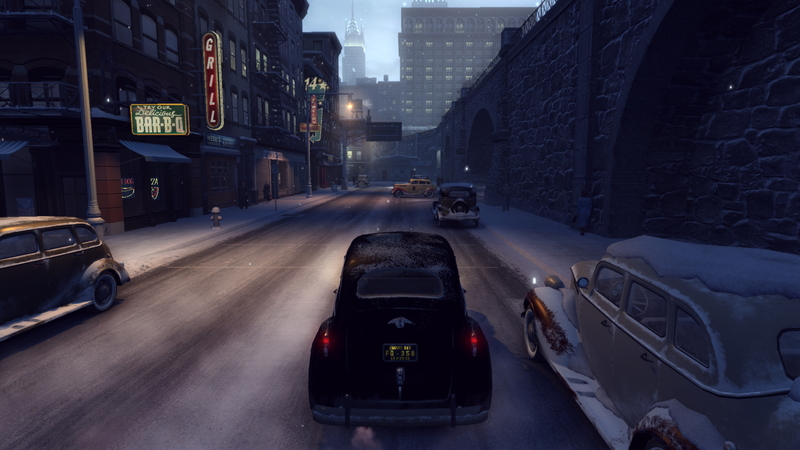 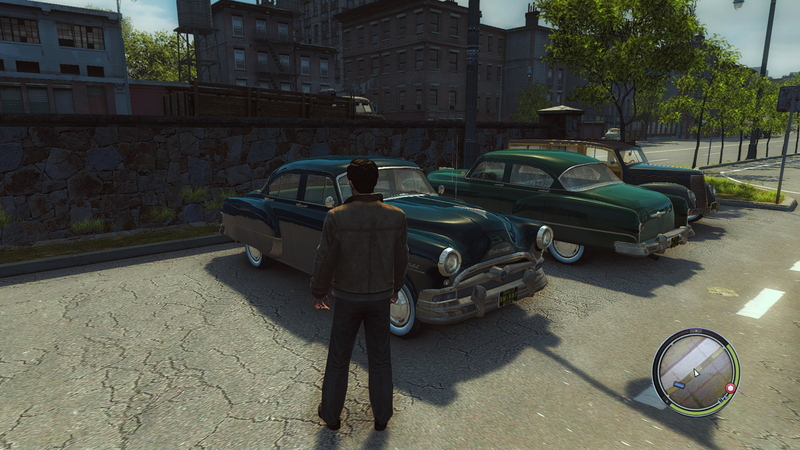 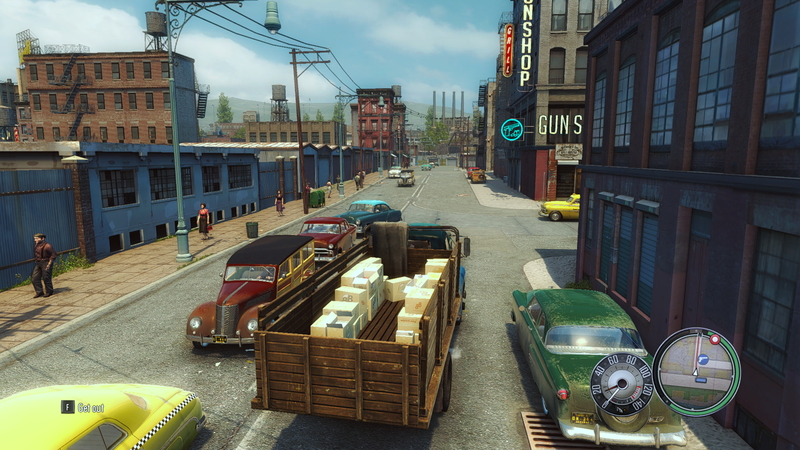 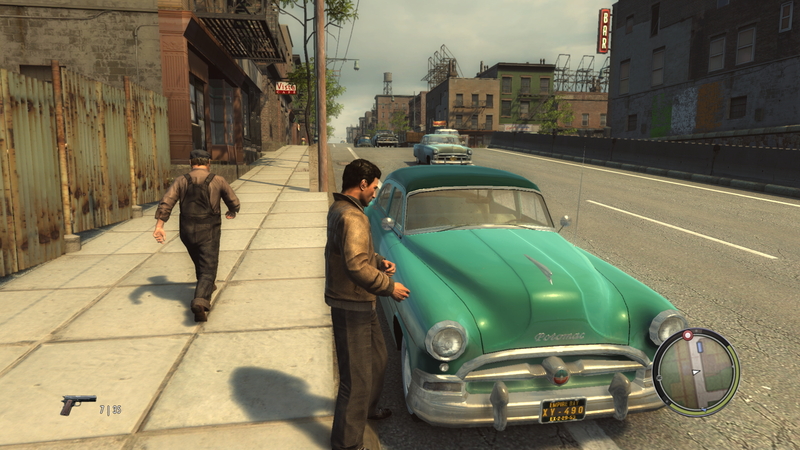 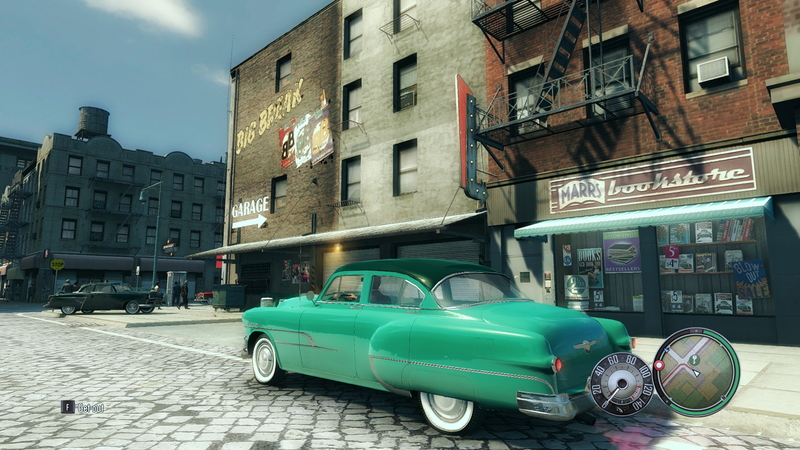 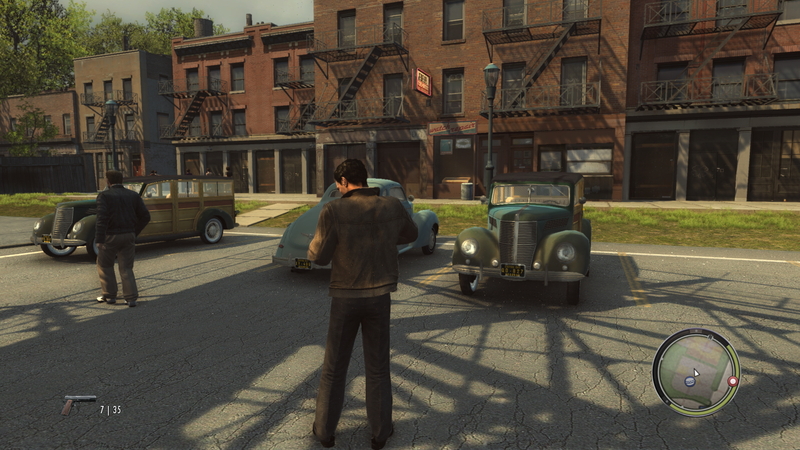 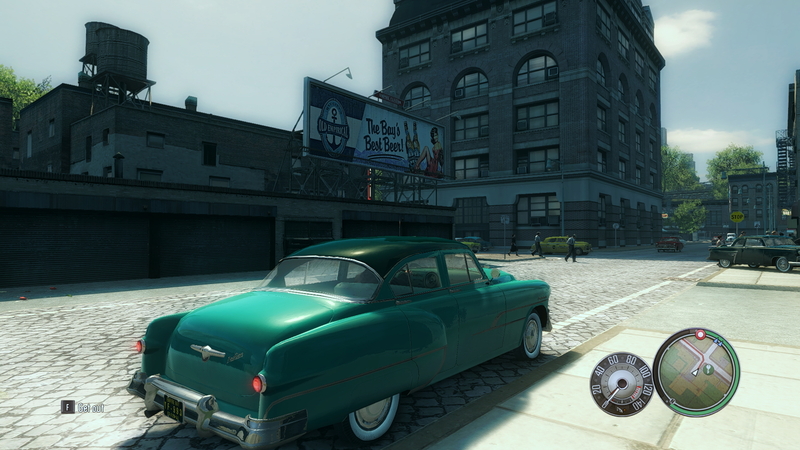 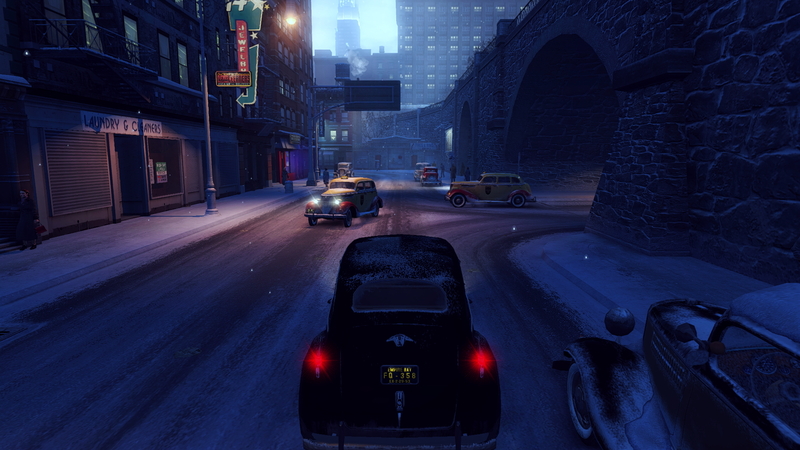 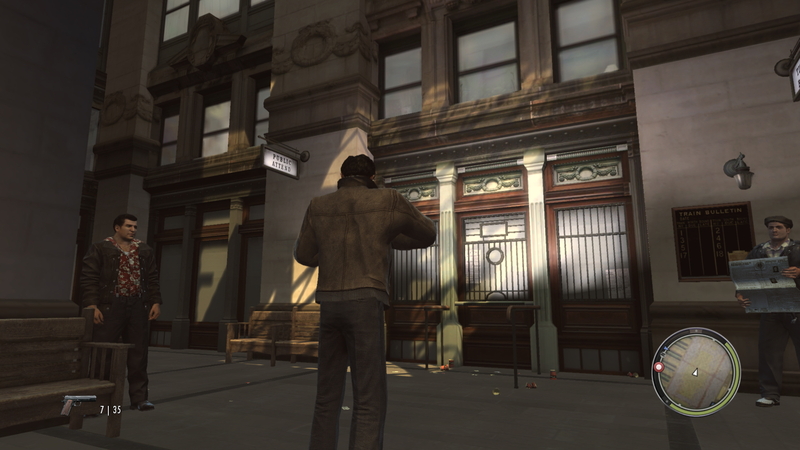 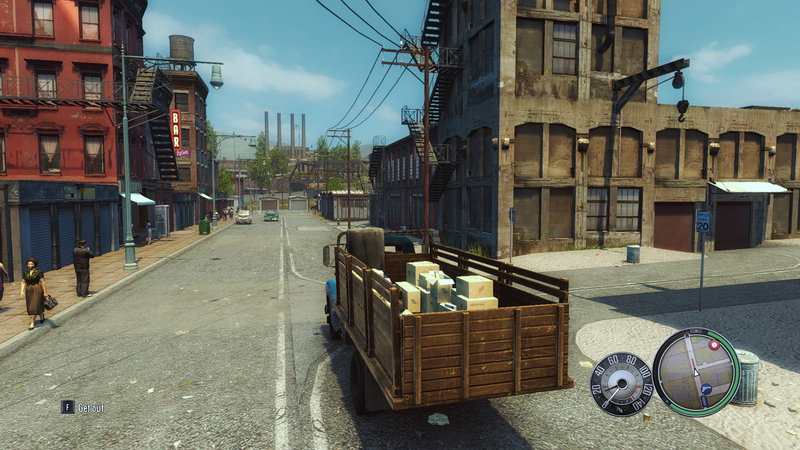 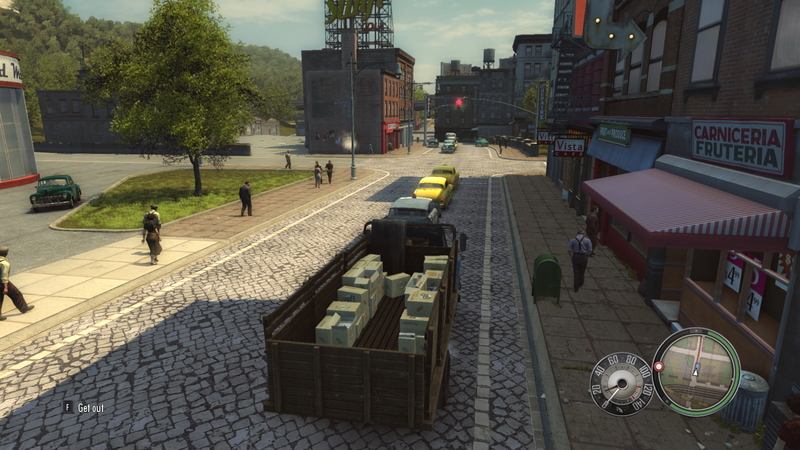 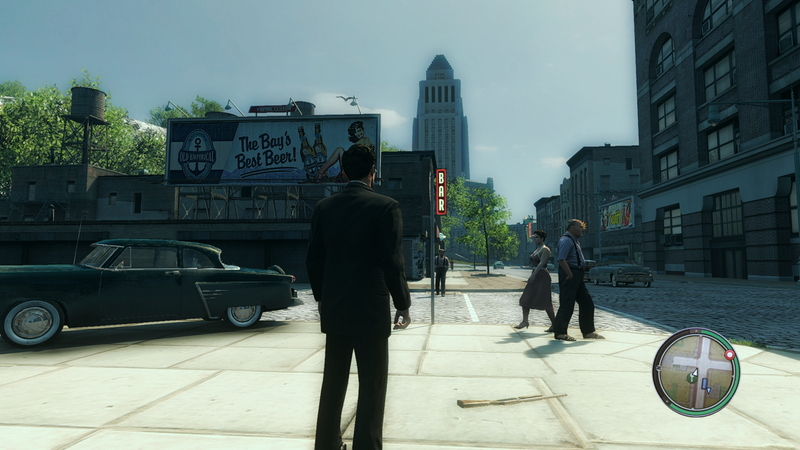 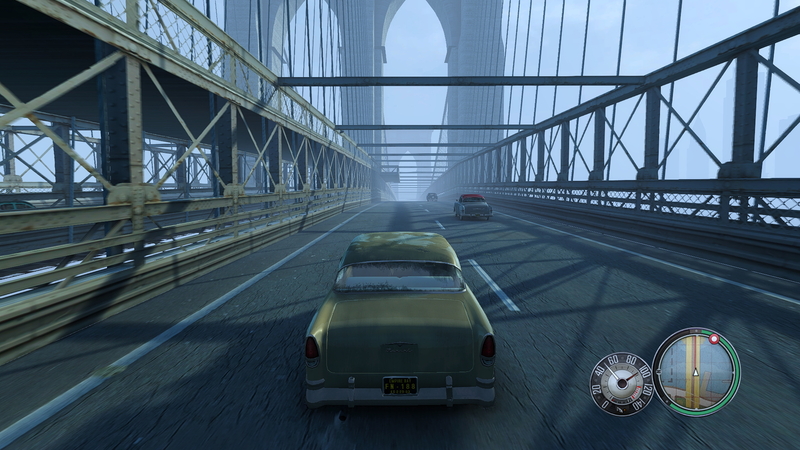 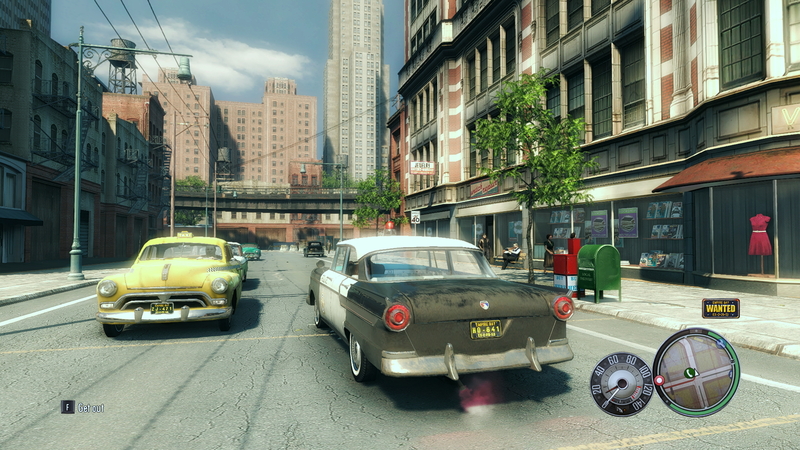 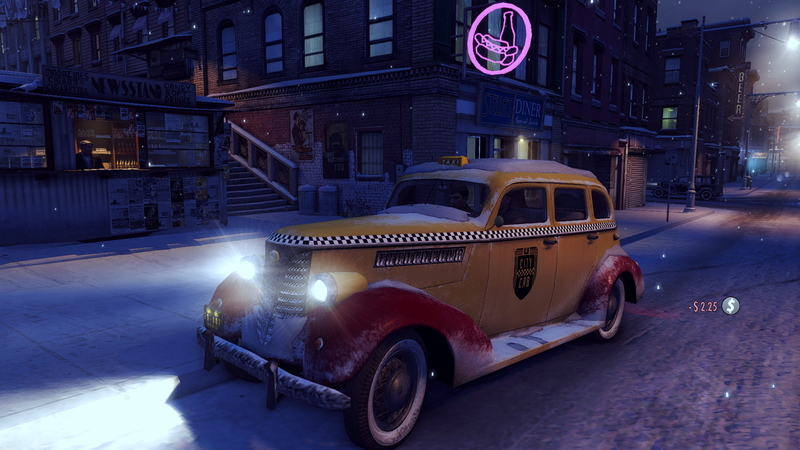 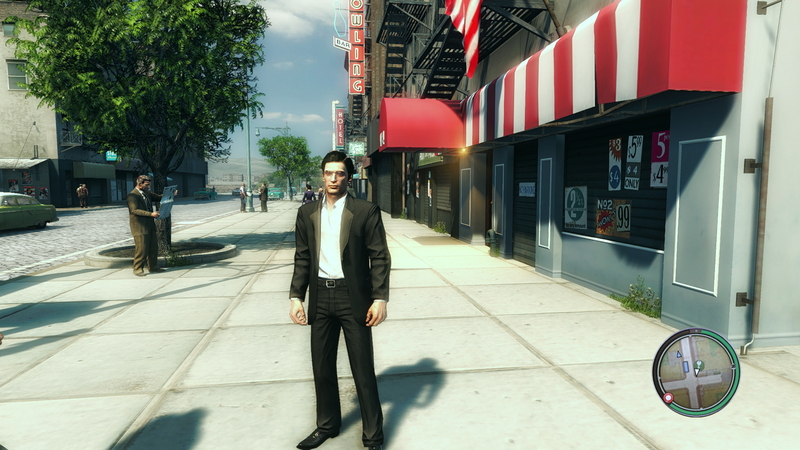 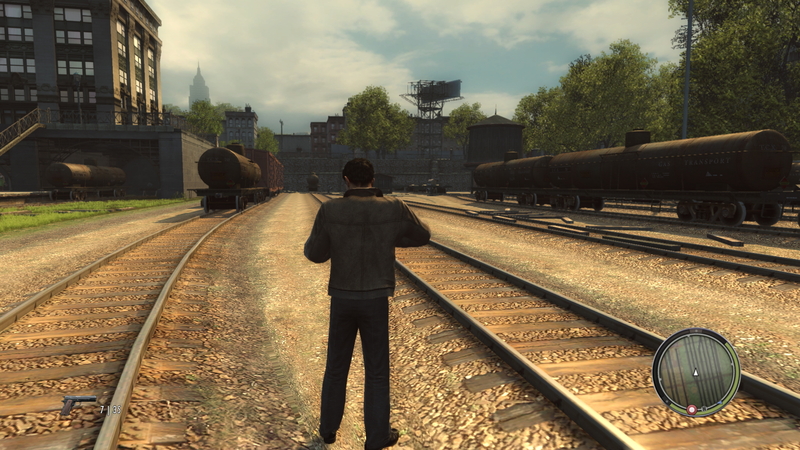 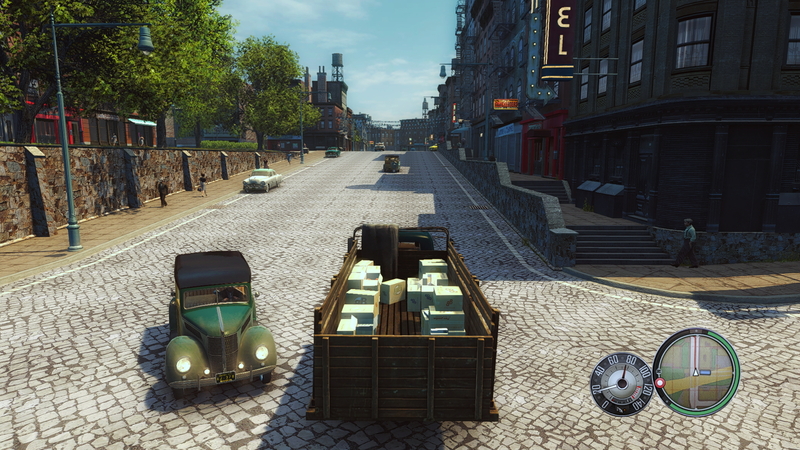 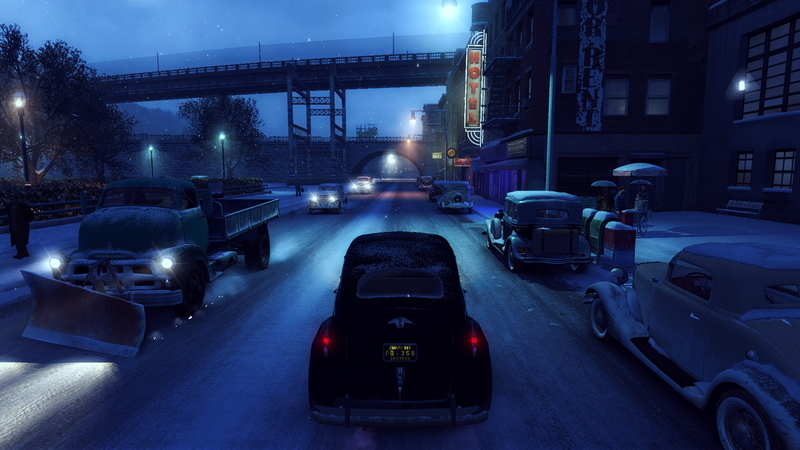 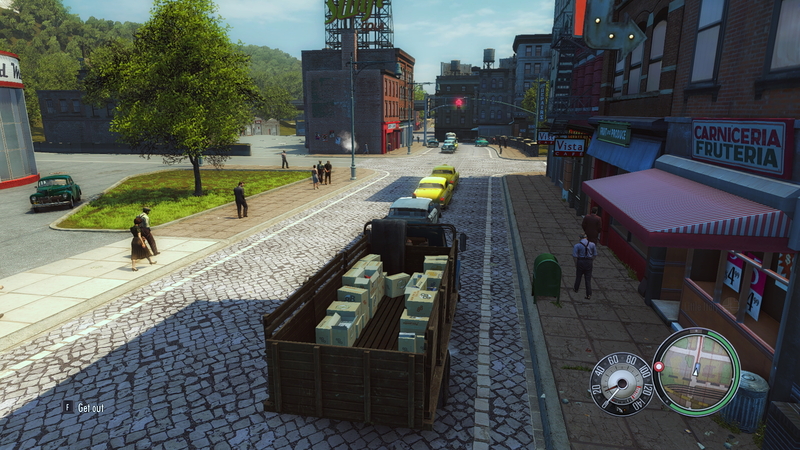 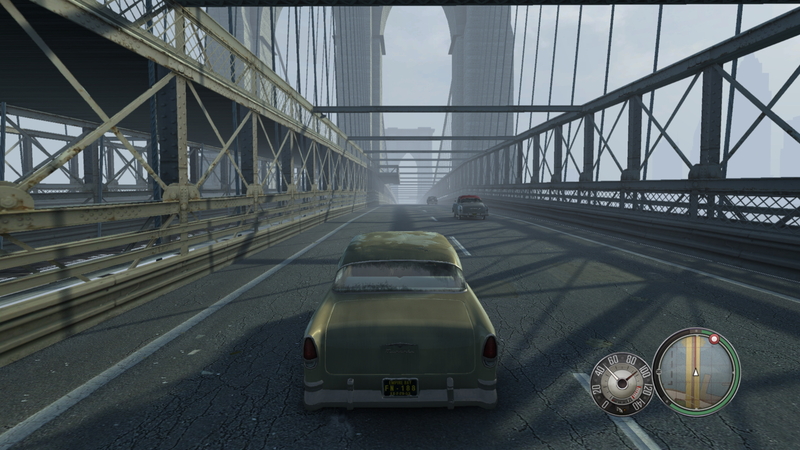 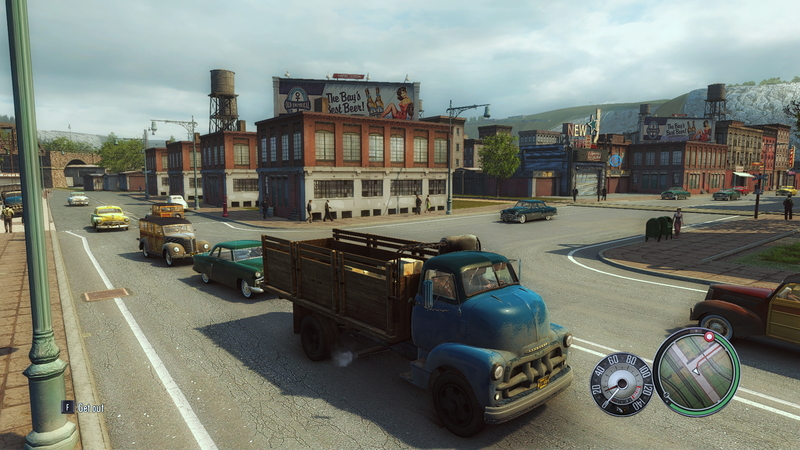 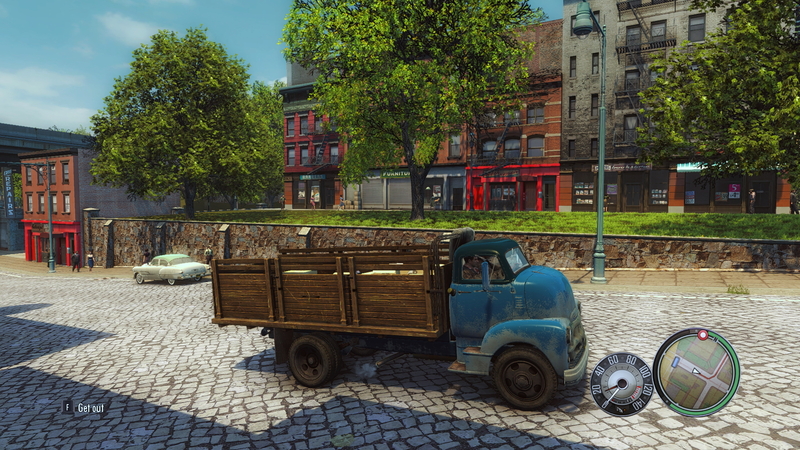 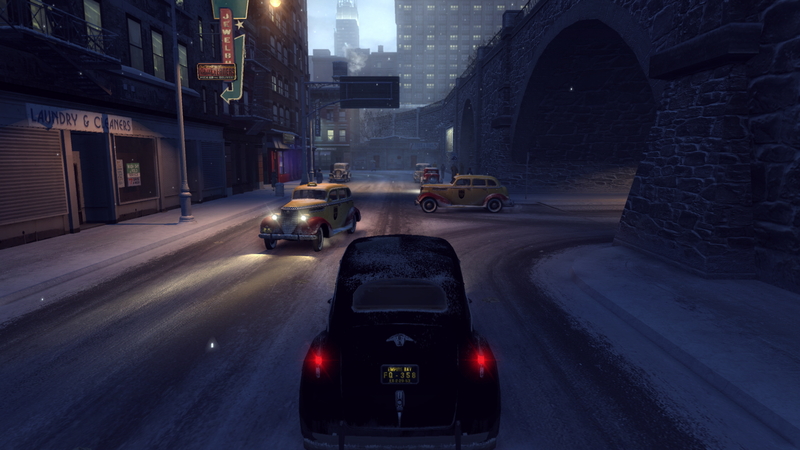 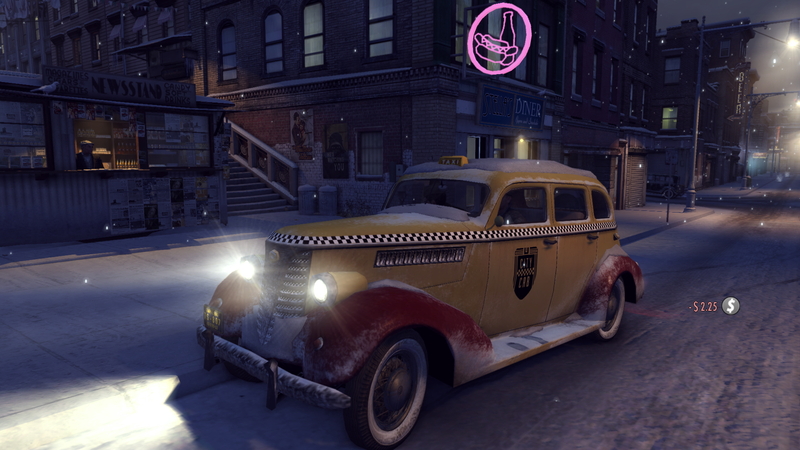 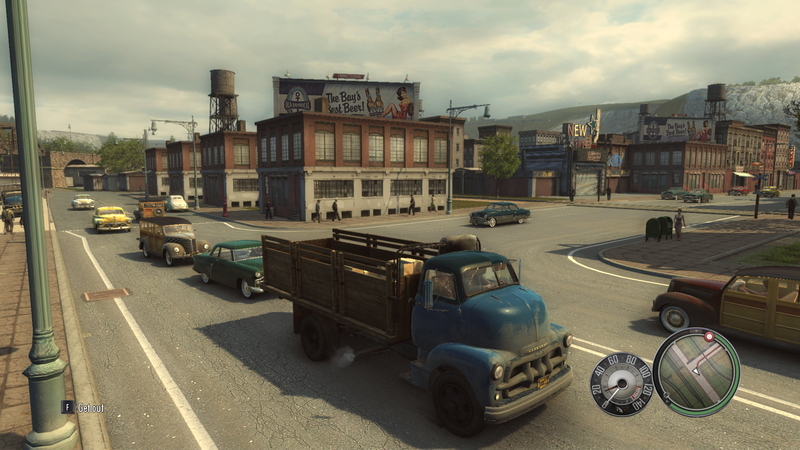 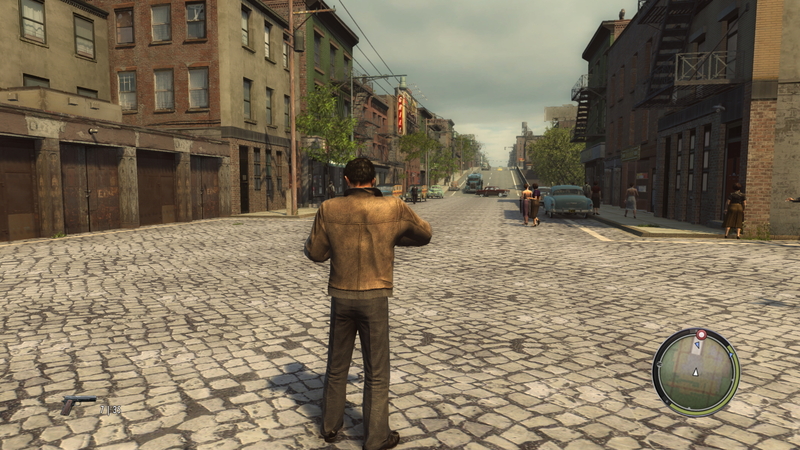 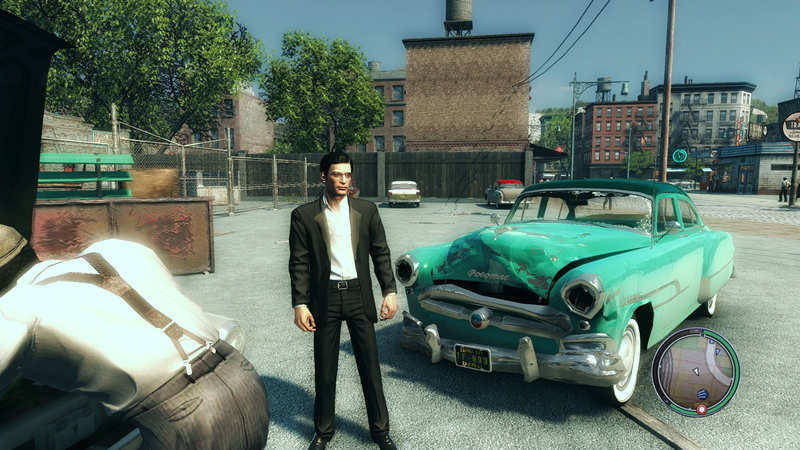 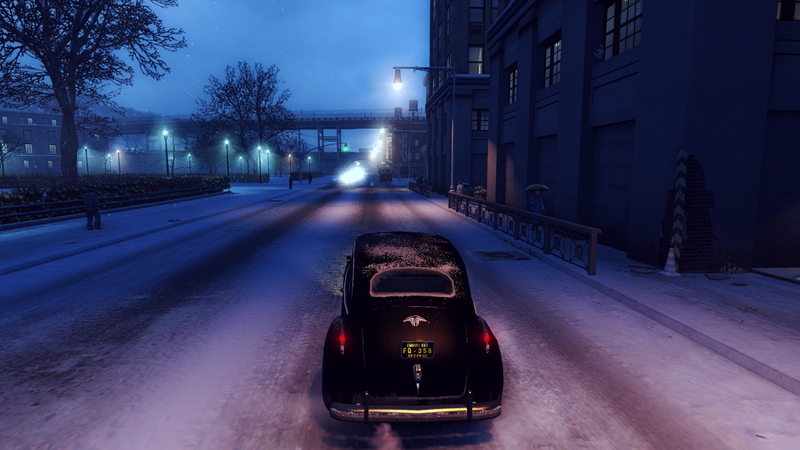 Mafia 2 takes place in Empire Bay, a fictional city based on the real world city of New York. 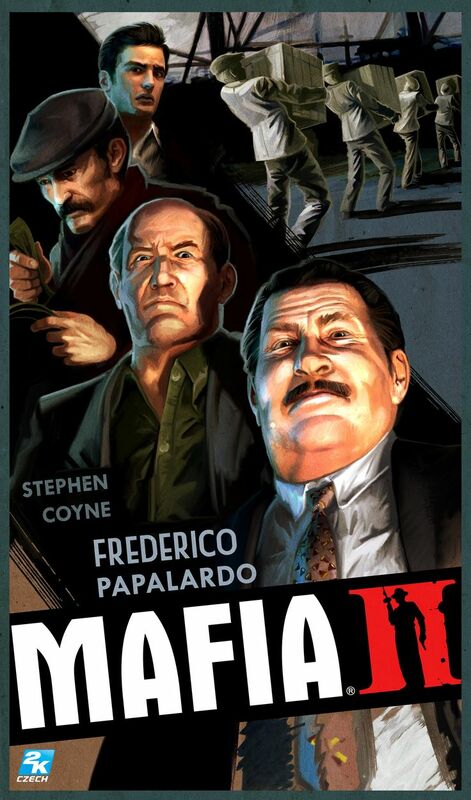 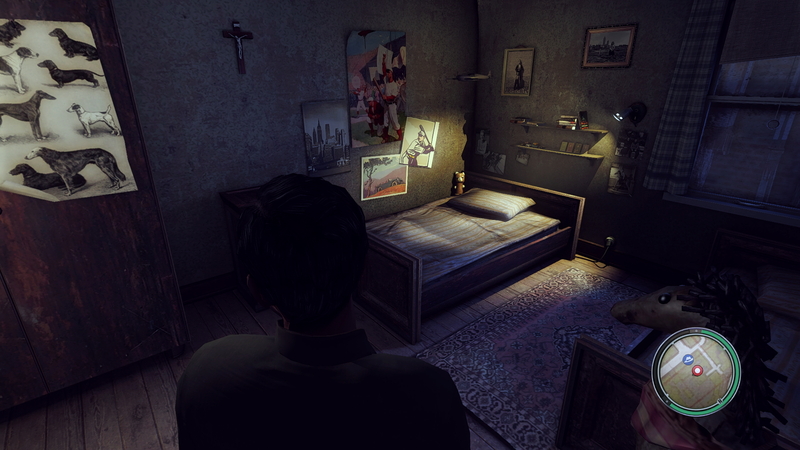 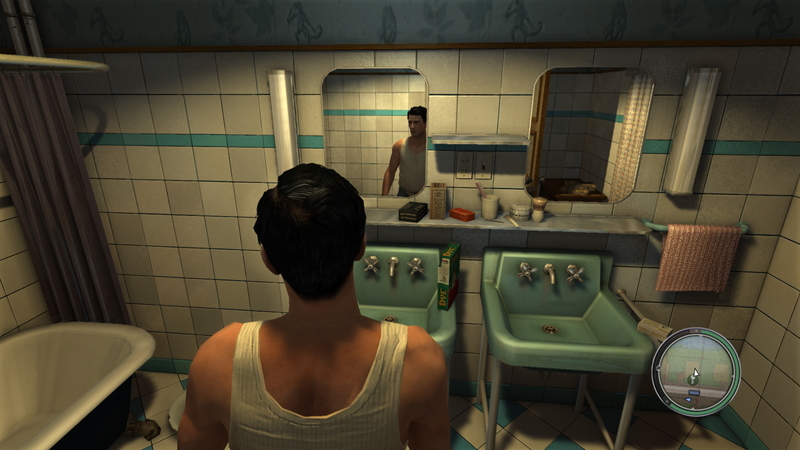 Just like the first Mafia game, it follows a guy trying to climb the ladder of the Italian Mafia. 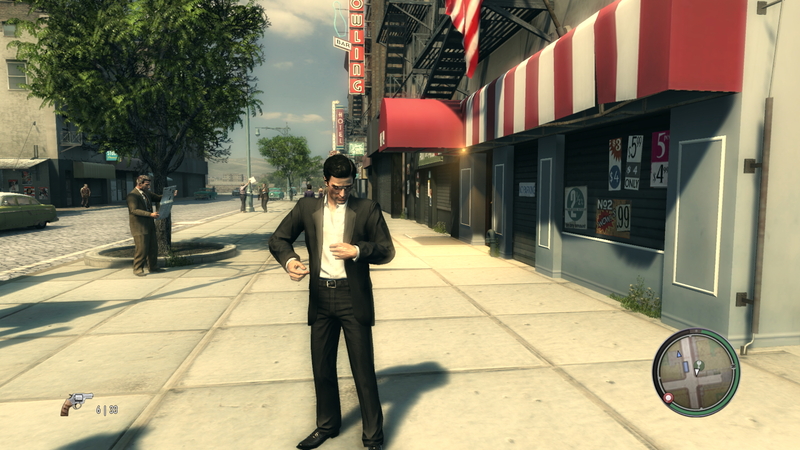 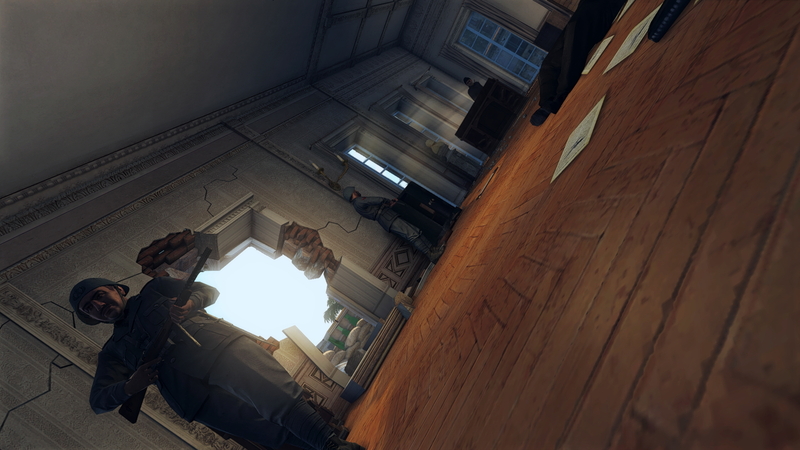 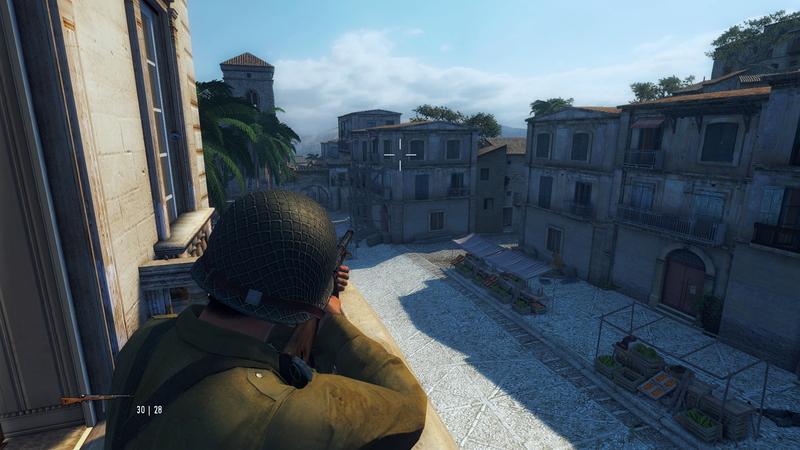 The game is played in 3rd-person, and the world is navigated both on foot and in vehicles. 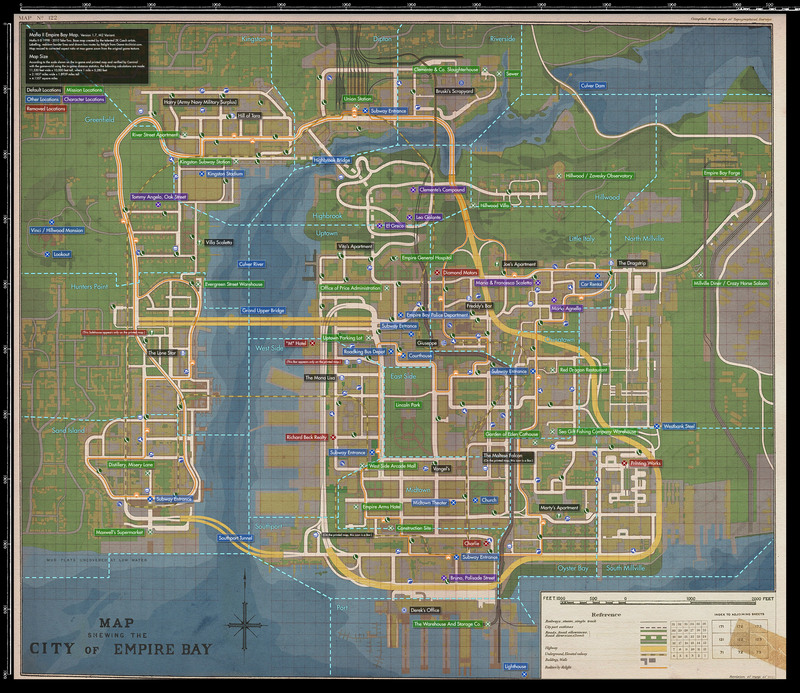 Much like the famous GTA game series, just in a different tileline, and of course with differences in the game mechanics as well. 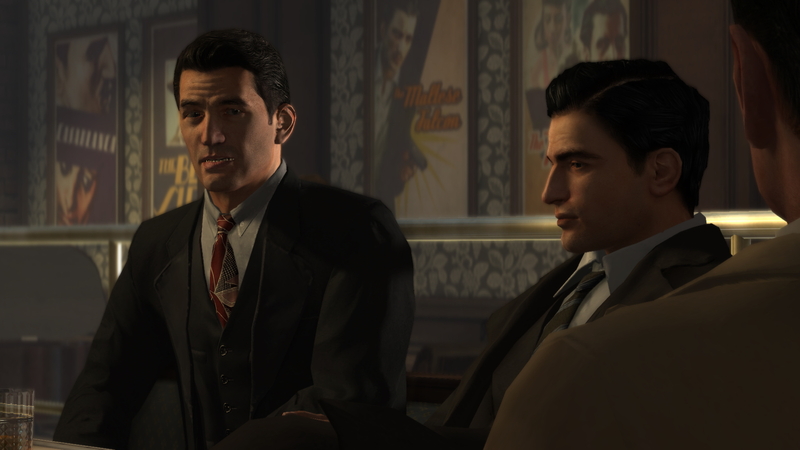 The main character, a returning war veteran by the name of Vito Scaletta, quickly becomes caught up with the Mafia when trying to pay back his father's debts, and by the company he keeps. 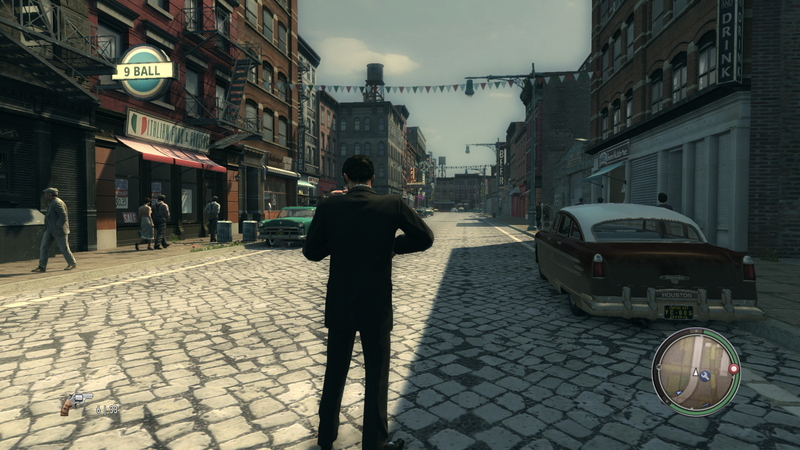 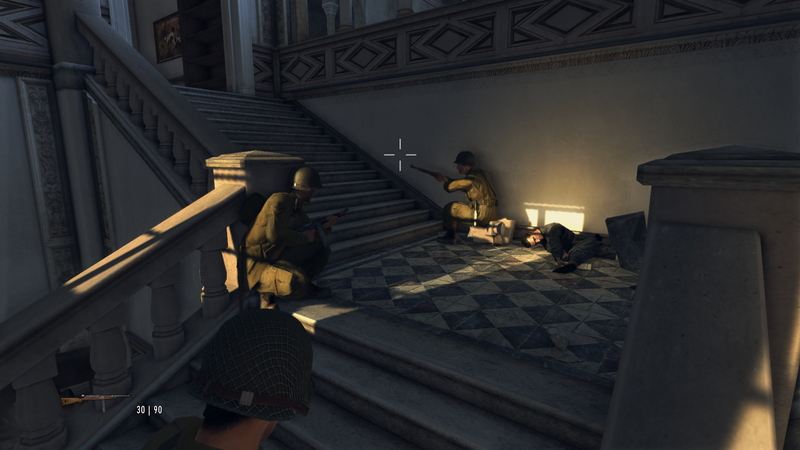 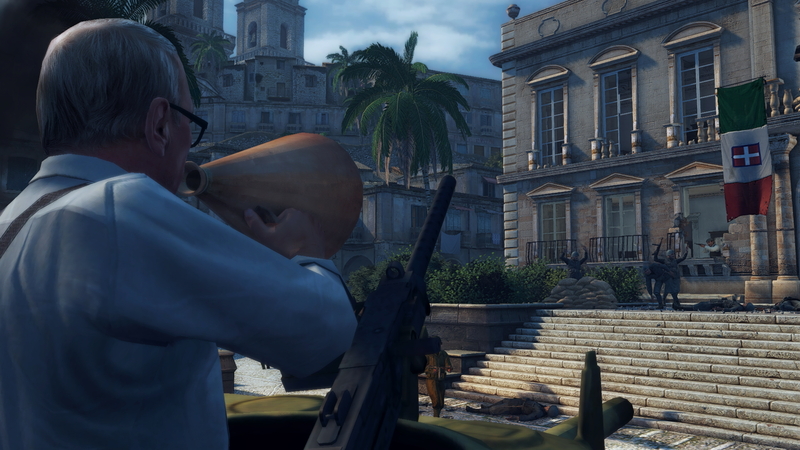 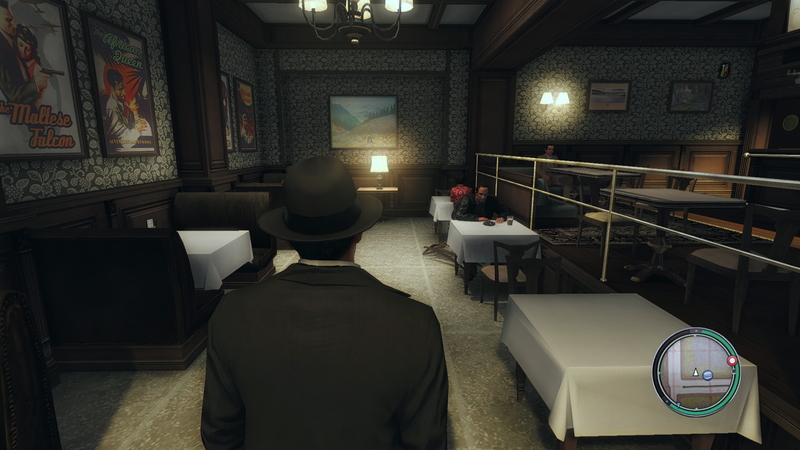 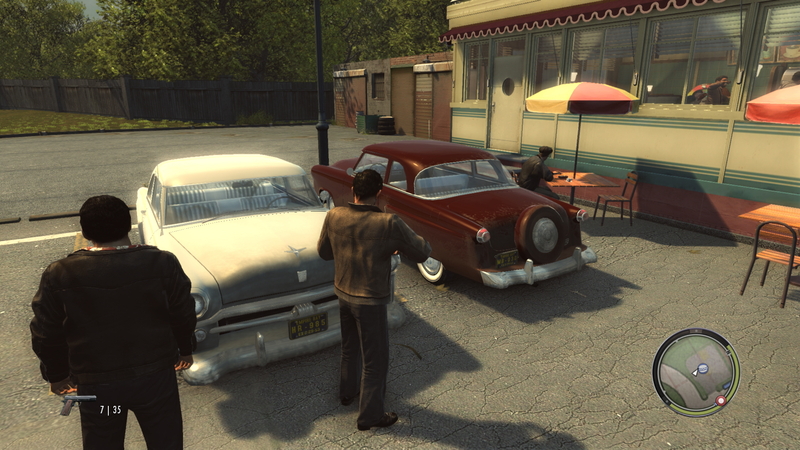 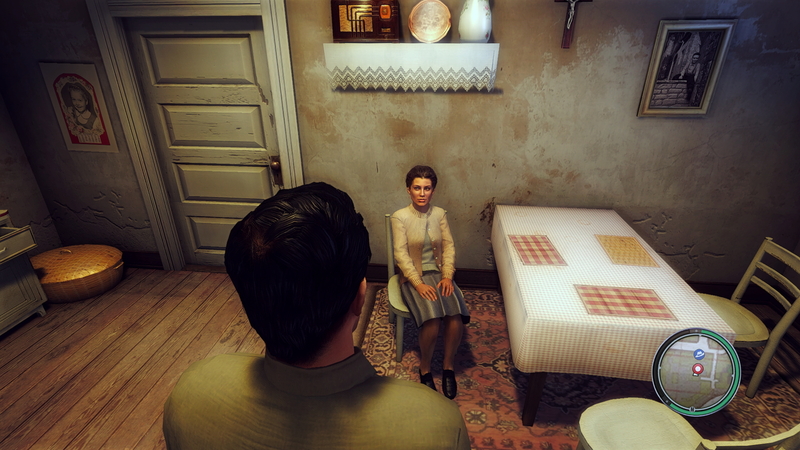 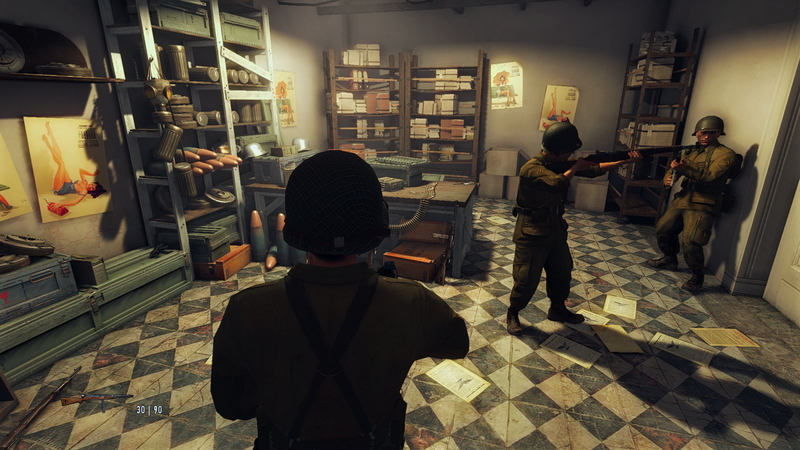 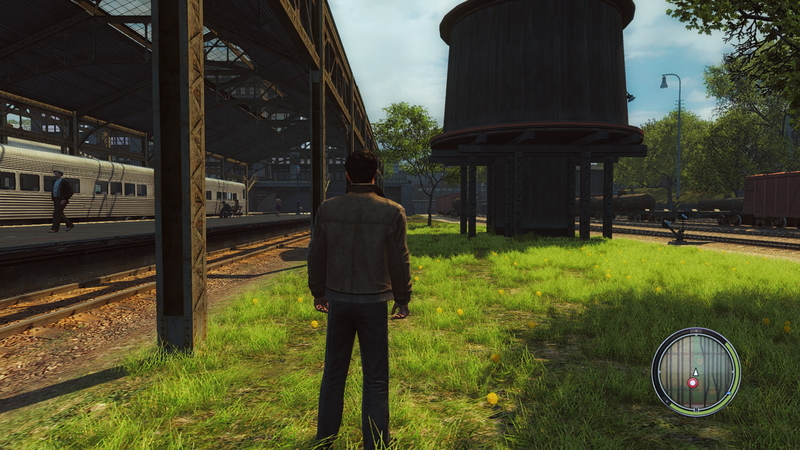 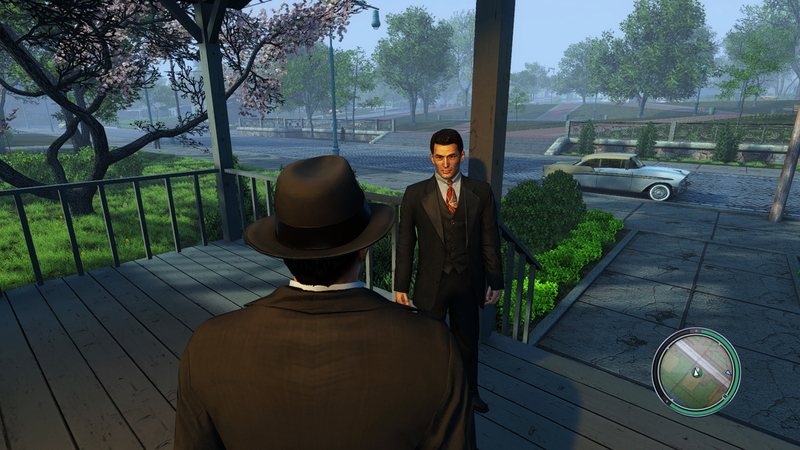 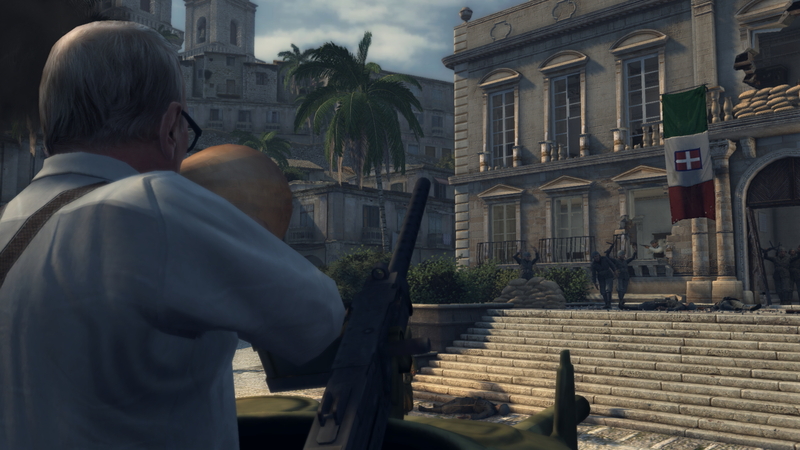 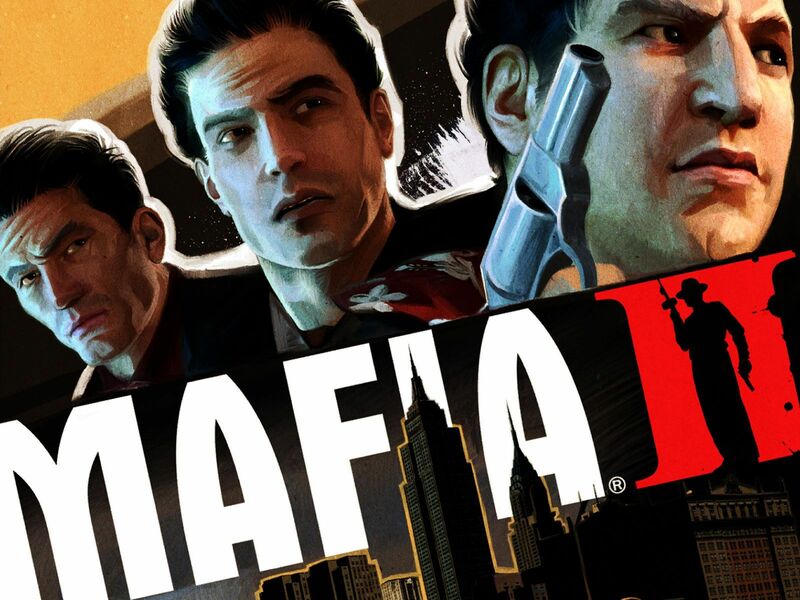 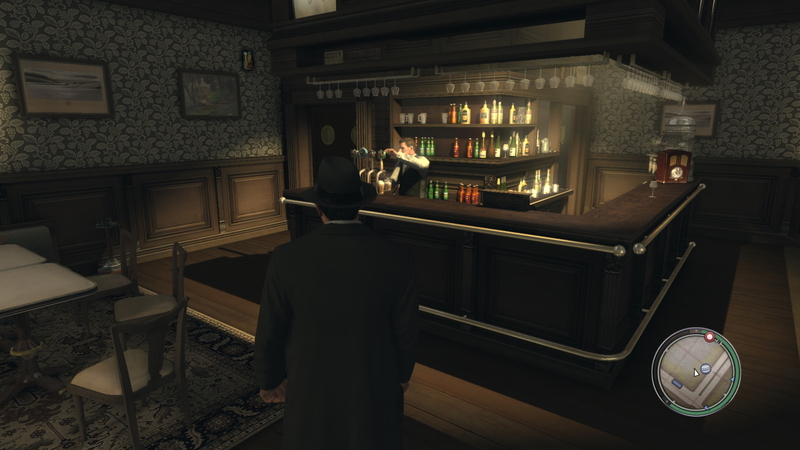 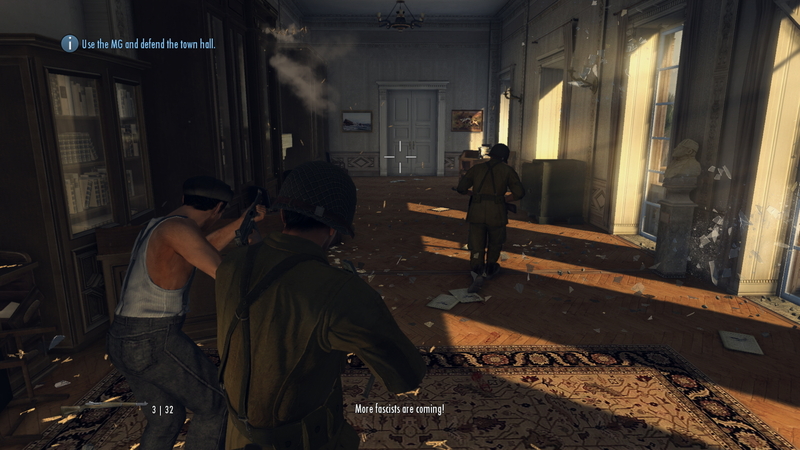 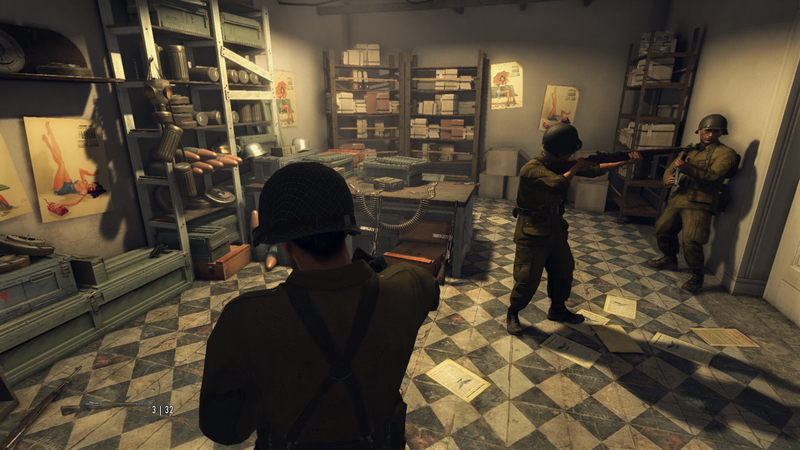 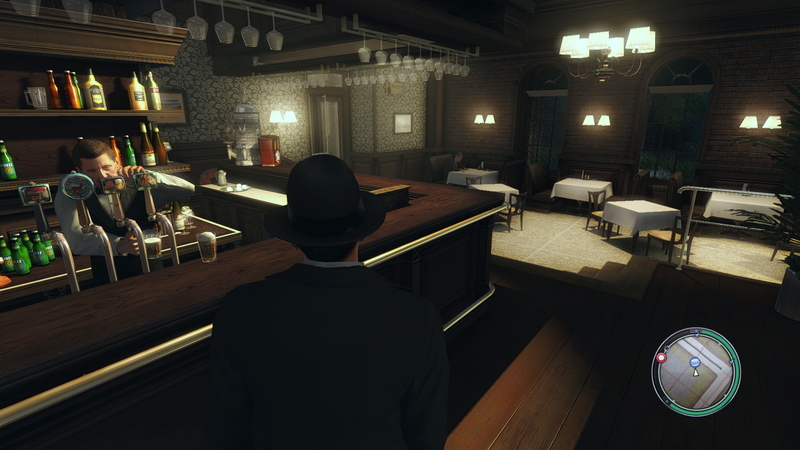 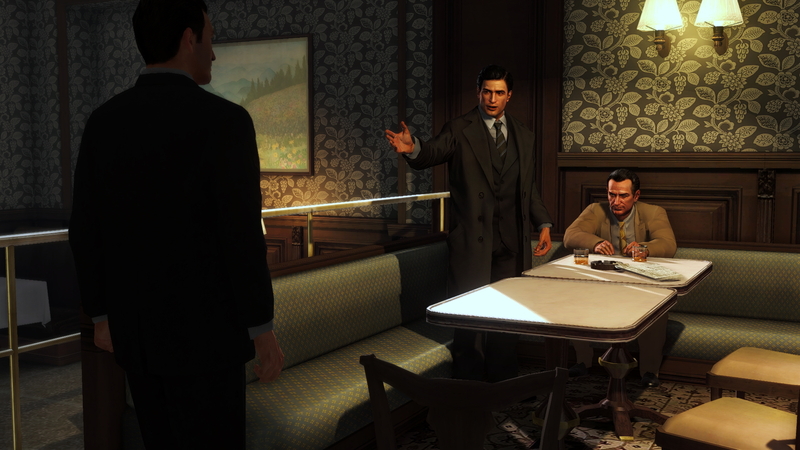 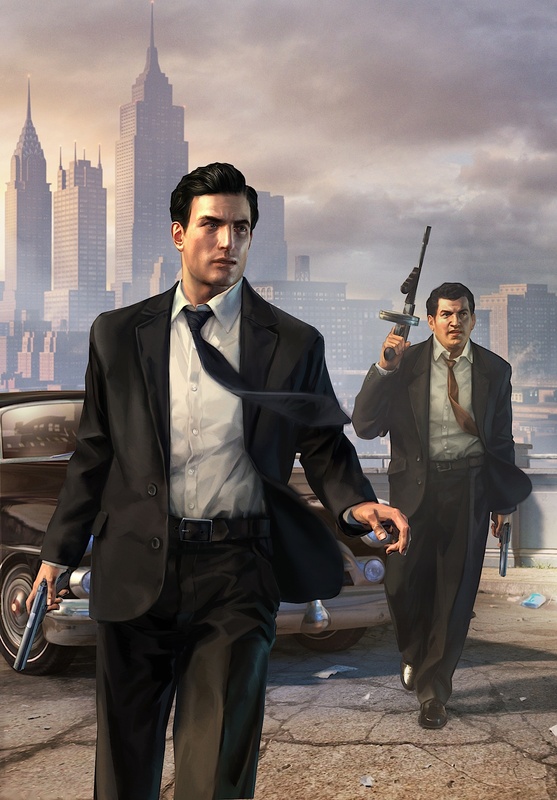 The style of the game is much like the previous Mafia game, but Mafia II has a significantly better engine, and provides a more fluent and immersive game. 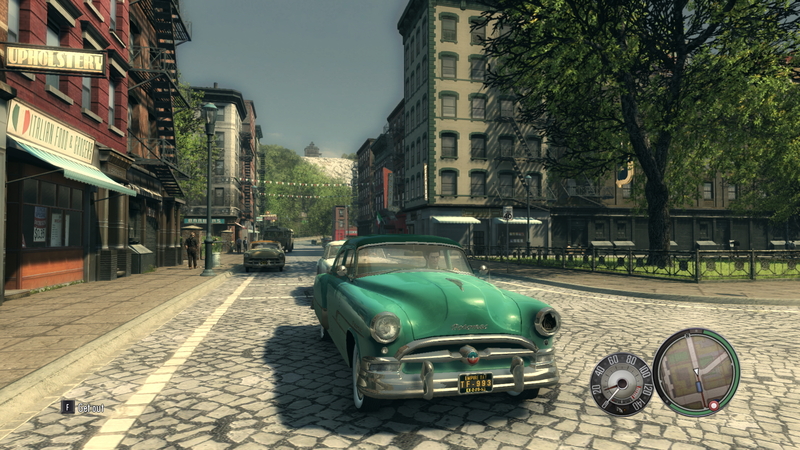 The game is more polished in both movement, driving, world detail, character interaction, environment and even the story. 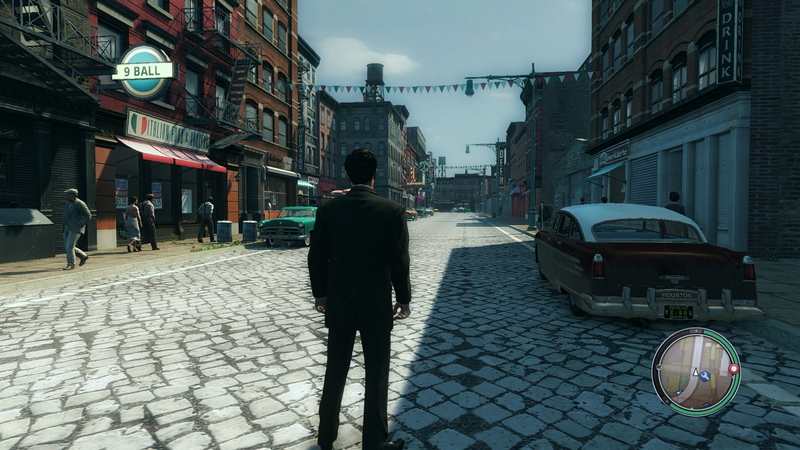 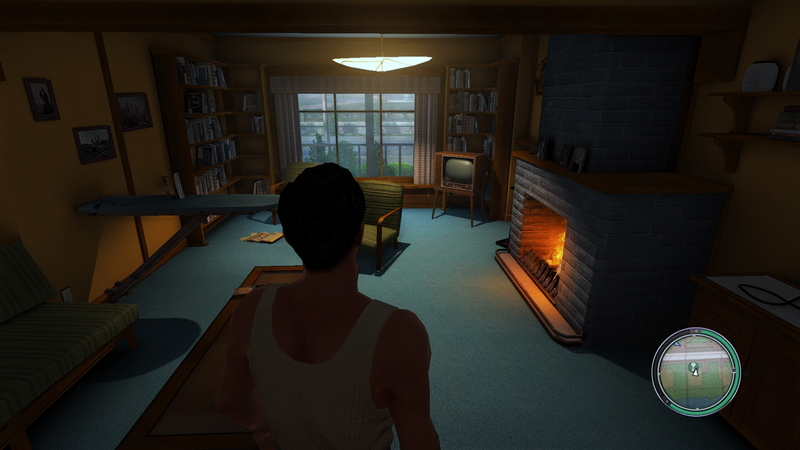 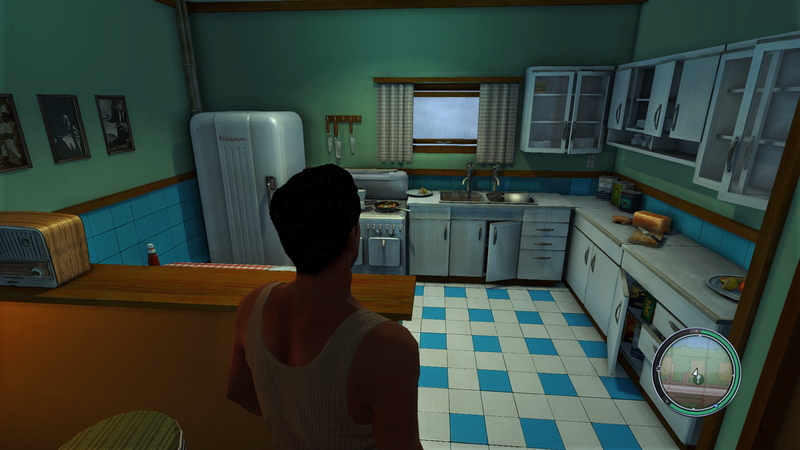 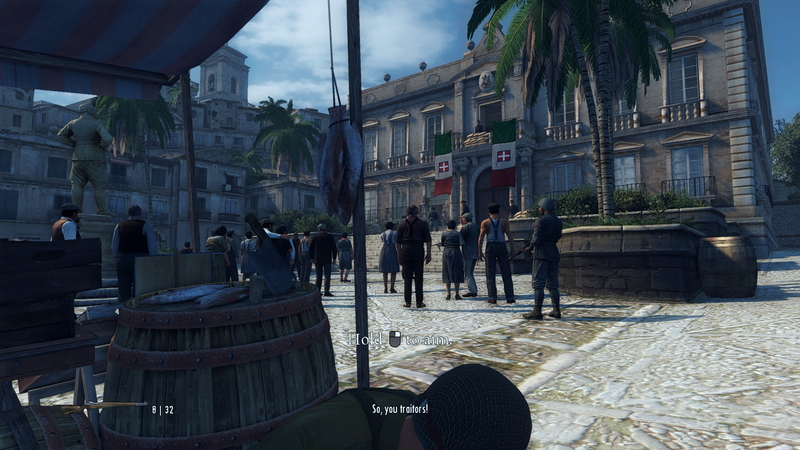 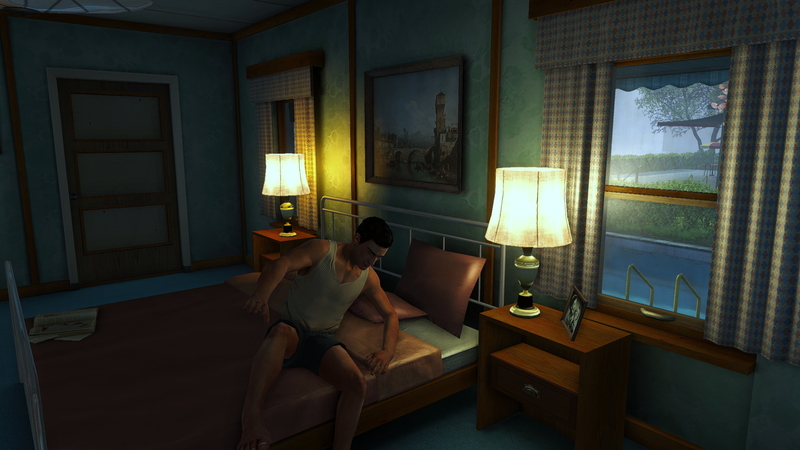 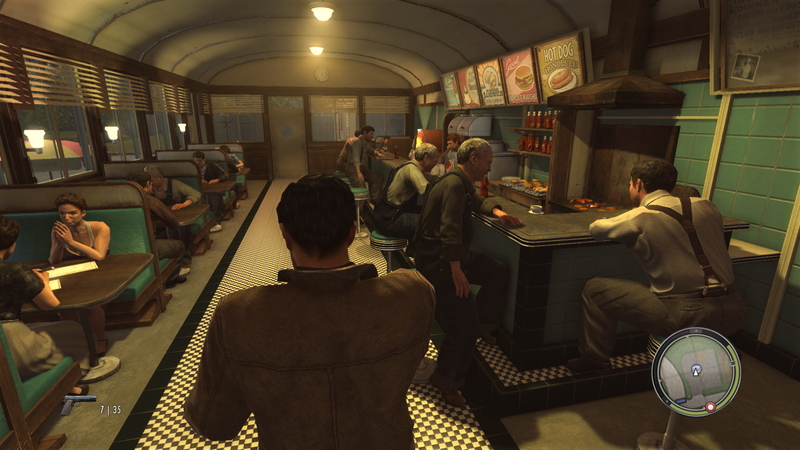 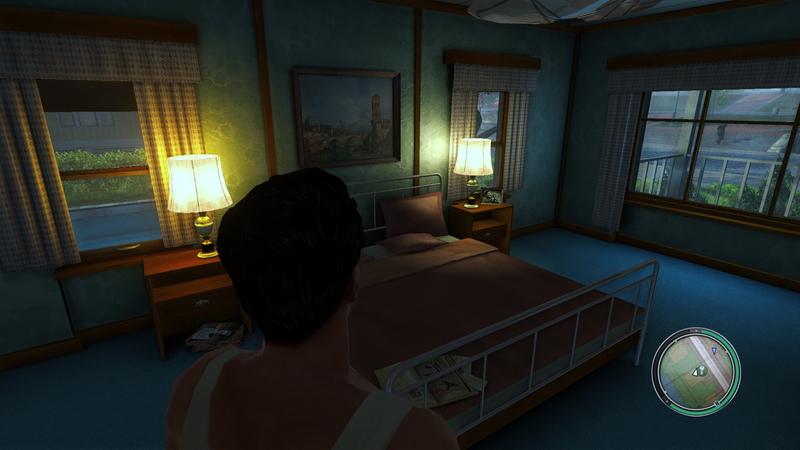 Most of the cut-scenes are played within the game-engine instead of regular video. 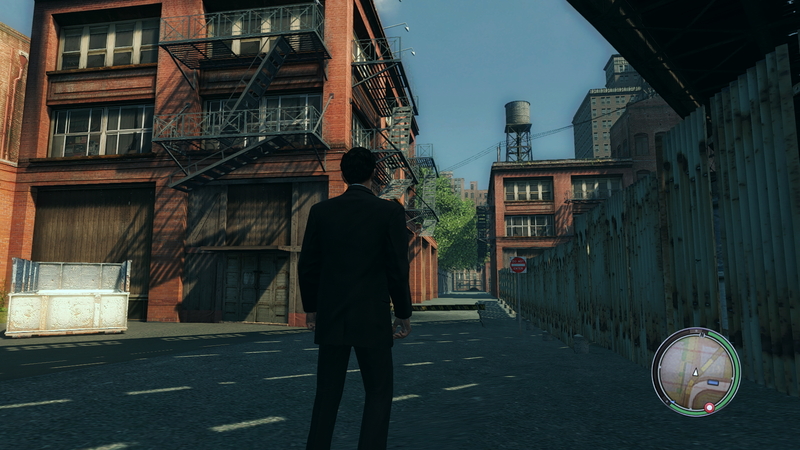 It works very well, and feels like a seamless part of the game. Just like GTA, Mafia 2 has different radio stations. 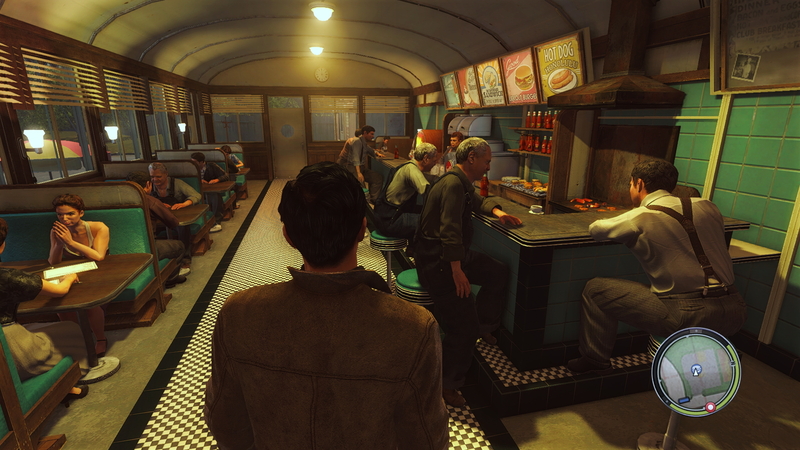 A small detail, but it's part of what makes the world immersive and believable. Development of the game started already in 2003, shortly after the release of Mafia: City of Lost Heaven. The 7 years of development certainly shows in the final product. 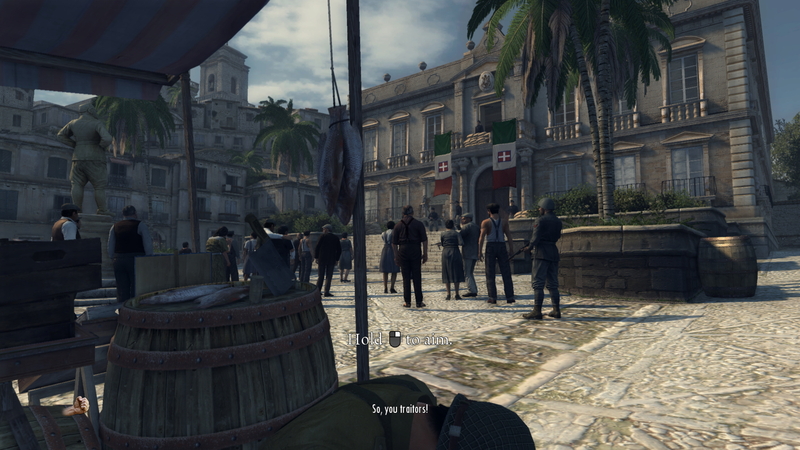 It's really nice to see and play games that are made with focus on quality instead of time-to-market, like with many other games.